Cee Cee has been sick so here I am filling in for her… I figured the best way to do that is share the socks I made her a while back. 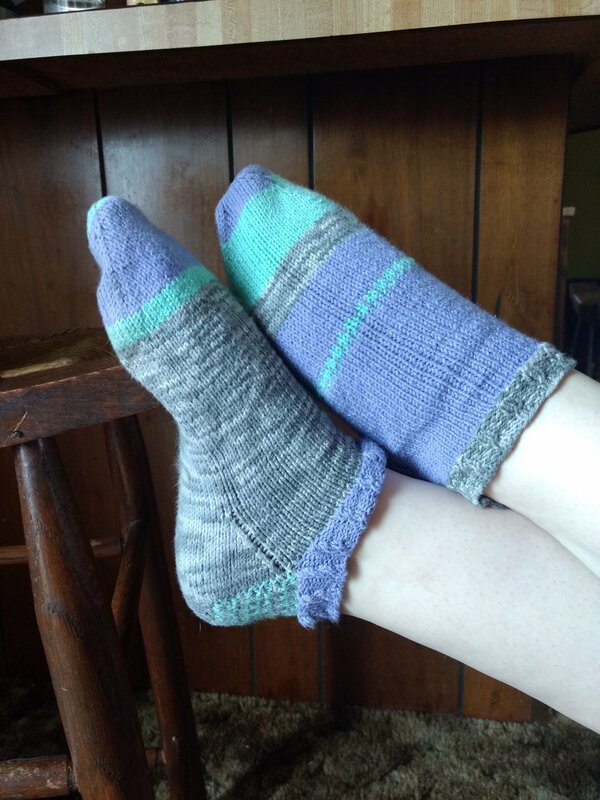 The truth is she isn’t the most organized kid, and right now I don’t even know where any of her hand knit socks are… But she wears them and loves them so I just keep making them. She especially loves footie socks which is handy because there’s no leg to knit. She also loves mismatched socks so there’s only first socks and no seconds! The pattern I’m sharing is easy. 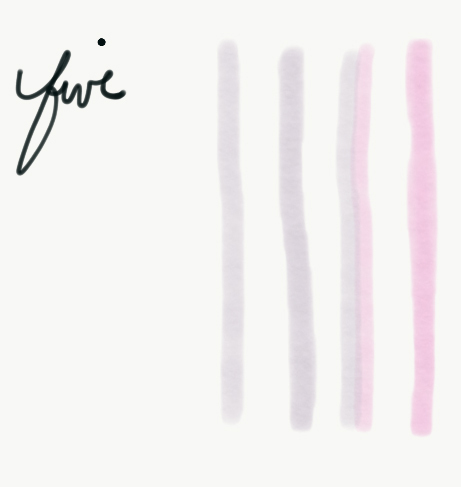 Yes it has stripes and such, but I just put things in where I liked (and where it was easy) so don’t overthink it. 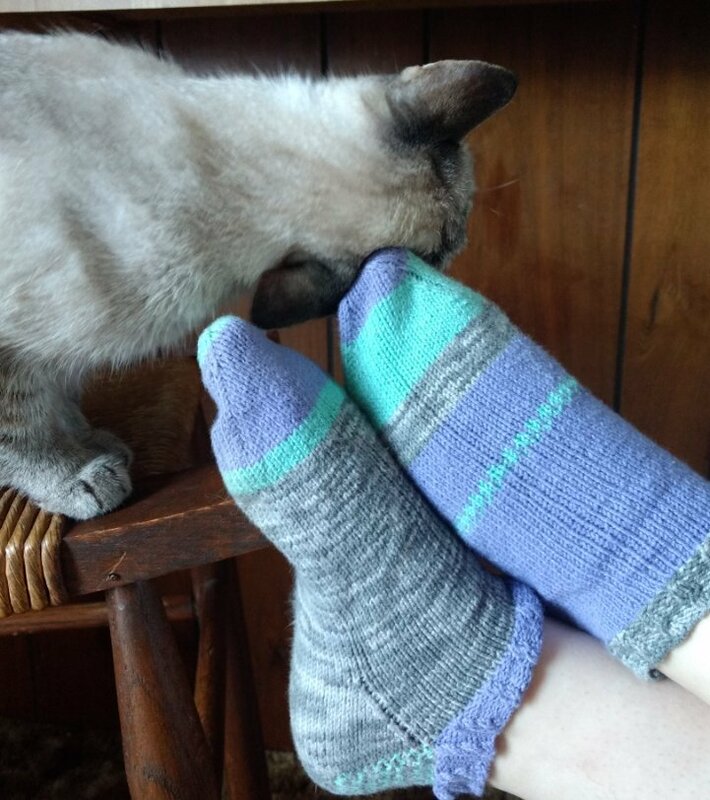 CoBaSi is very forgiving and makes good comfy socks… and when you mix up the stripes and order of the colors, you don’t even have to remember what you did to make a pair! In other news, Cee Cee finished making hats and took 54 hats to Grace Centers of Hope in Pontiac, Michigan. If you want to find a fun way to help others, the addi Express knitting machine is a great tool. Being able to turn out a hat fairly quickly means she can really make a difference to an organization. She begins a new project for Green River Ministries tomorrow at our local hand crafted market. When you buy a hat from her, a second hat gets donated to help others. That would be very slow to do on knitting needles and she probably wouldn’t even try it… But this machine has given her such a useful and practical way to help people. Every project seems to inspire her to think of the next thing she could do. 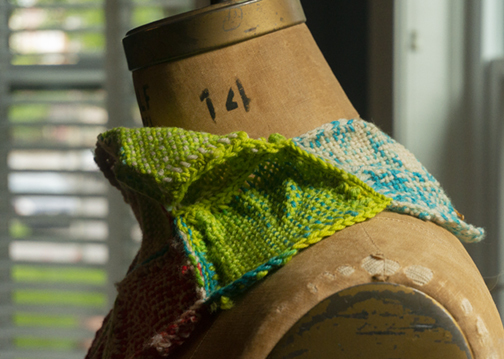 It’s a knitting machine, but it’s so much more than that. And while we’re talking about helping, I encourage you to find a way to do that with whatever you make. Helping just makes everything a little better. A hat, a toy, a casserole… It’s amazing how it can turn your day around. What’s most fun about this pattern is it’s knit to fit. 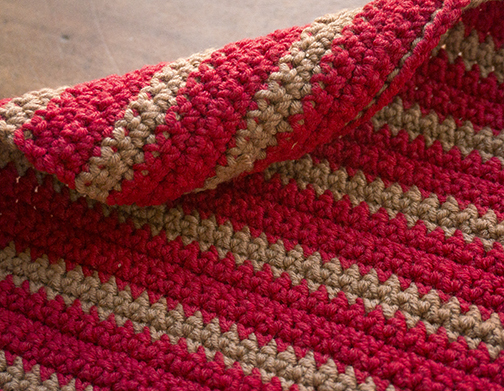 Change colors for stripes any time you like! I just changed up the colors when I felt like it. 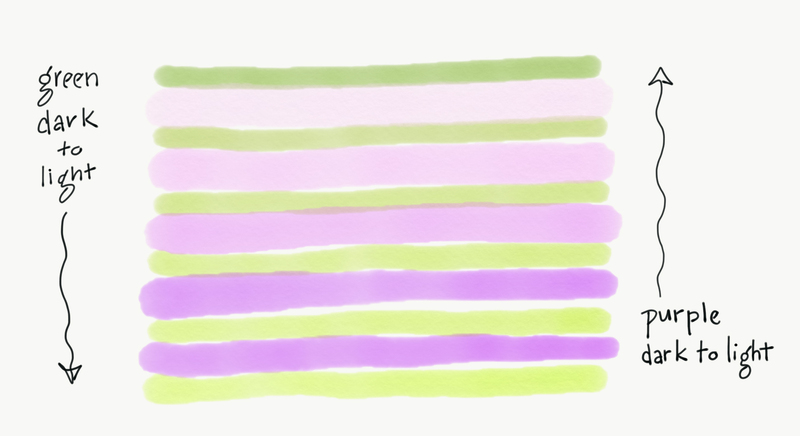 Don’t be afraid of stripes and trying stuff. Its only yarn and the CoBaSi is very forgiving! 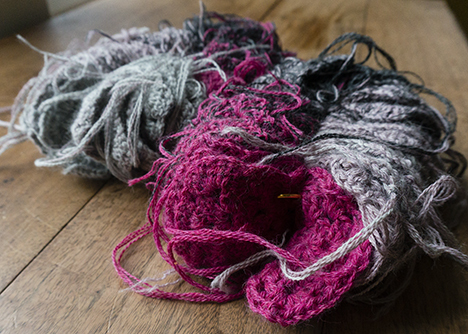 With the three hanks of CoBaSi I easily made two socks…and I think I may add a third to the mix just for fun! Yarn: HiKoo CoBaSi 55% Cotton, 16% Bamboo, 8% Silk, 21% Elastic Nylon; 220 yards per 50 gram skein, 3 colors. Mock baby cable (RT) – Also known as a right twist: k2tog but don’t push the stitch off the needle. Knit the first stitch and then push both off the needle. Cast on 64 stitches. Join in the round, being careful not to twist. PM to indicate beg of round. Repeat these four rounds three times. I do a very simple flap heel. Sl1, k1; repeat across 32 stitches, turn. Sl1, then p across to EOR. Repeat these two rows 16 times ending with the right side facing. Sl1 one, p5, p2tog and turn. 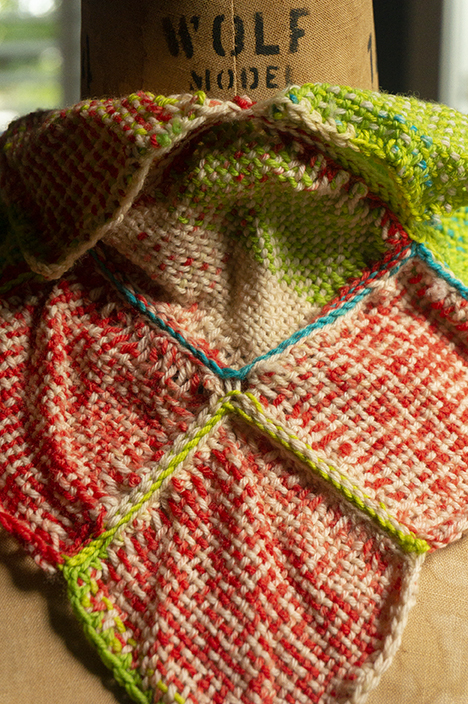 Now do each row by knitting and purling with either ssk or p2tog, one stitch before the gap. Do this until you have 18 stitches left and the RS is facing you. 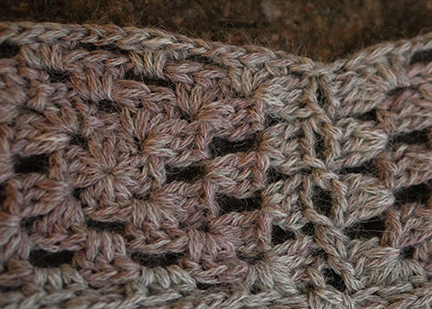 Pick up and knit 18 stitches on the left side of work….sometimes I find that I have a few little holes along the way. I knit into the back of the stitch and that solves the problem nicely. knit 32 across the front of the sock. K1, ssk, k to end of round. repeat these two rounds until 64 stitches remain. Now just knit the foot of the sock by knitting around and around. I measure, and stop knitting the foot when I get to the start of Cee Cee’s big toe. Knit to the last three stitches of the first needle, k2tog, k1 knit one. K1, ssk, k to the last three stitches and k2tog, k1. Do this until you have 8 stitches left and kitchener the heel. 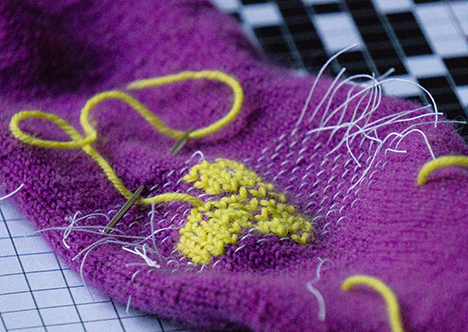 To create the color change on the toe, just switch colors when there are 16 stitches left. People who wish to organize themselves often say they’re “getting their ducks in a row.” I envy people with ducks. I don’t have ducks, I have bunnies. 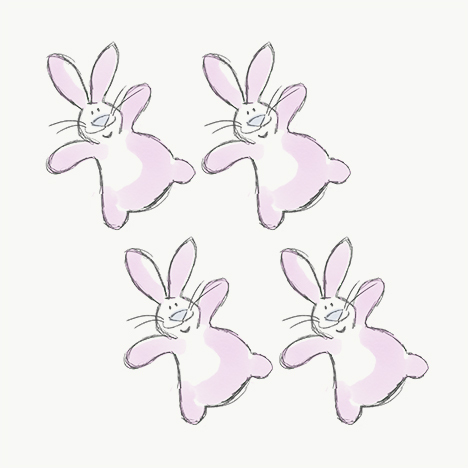 The thing about bunnies is, bunnies multiply. May and June have been months of near-constant work travel; and that always fools with my brain. When my body gets unsettled, my brain goes with it. I lose focus. 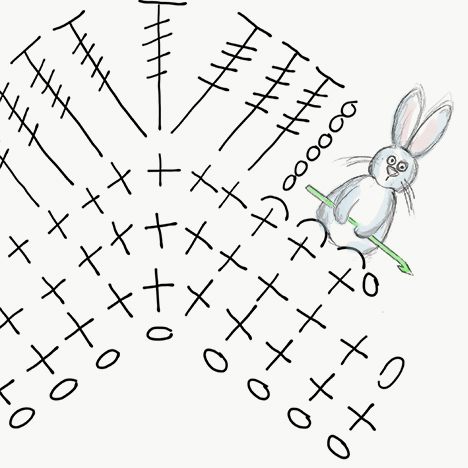 The upside of that is ideas multiplying like–well, like bunnies. 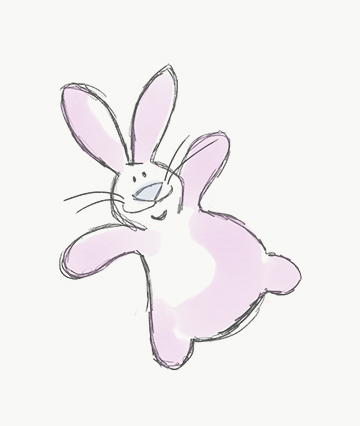 The downside is that I follow this bunny, then that bunny, and never catch up with any of them. My worktable (which is, in reality, two worktables in Chicago; the folding trays of forty airline seats; and innumerable hotel desks and restaurants) is entirely too cluttered. So I’ve been decided it’s time to finish up, clear up, and round up. 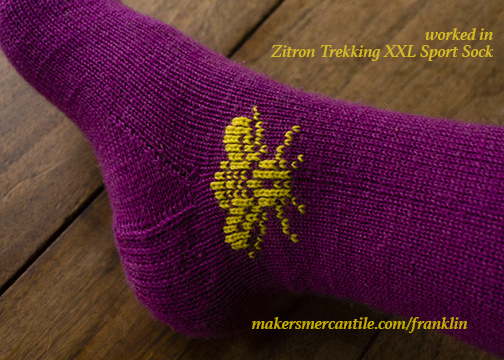 The long-awaited Bee Socks (done in good ol’ Trekking XXL Sport) are getting their final duplicate stitch additions to the swarm. I’ve been having so much fun with these, but if I don’t call a halt then I won’t get anywhere with the next pair (also to be duplicated stitched) I cast on in Color 1496. I haven’t settled on a motif yet. 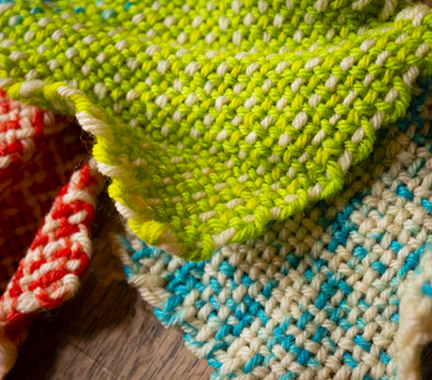 That’s one of the advantages of duplicate stitch–I can have a good ponder while I knit. Dogs? Penguins? Excerpted lyrics from Anita Ward’s immortal 1979 disco classic “Ring My Bell”? I can’t decide, and for the moment I do not have to. 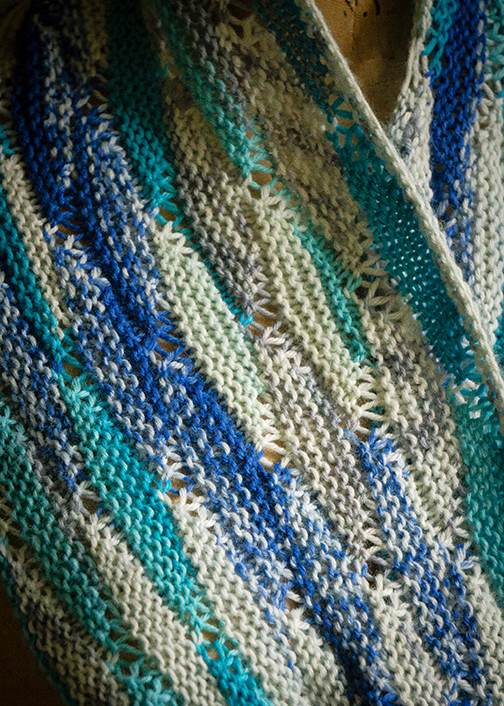 And I have not given up on the Zoom Loom triangle shawl that I wrote about last week. The more squares I add on, the more I like it. That’s not uncommon with a self-patterning yarn. You have to give the self-patterning (or, in this case, the colors that would have self-patterned) enough room to repeat before the piece starts to look balanced. 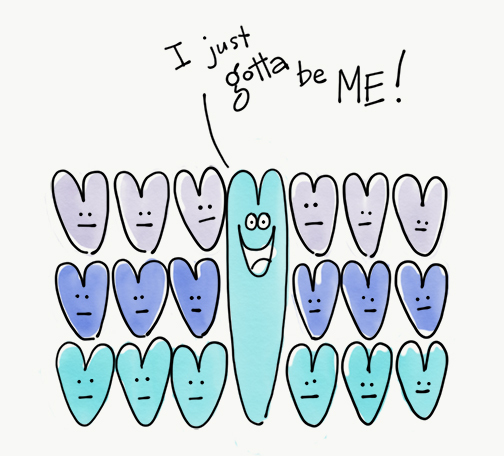 An ugly duckling stage is inevitable. The hand of the fabric, by the way, is lovely. I’m thinking I might do more weaving with Zitron Art Deco, perhaps on my Schacht Cricket. My African woven pot basket from Big Blue Moma runneth over. 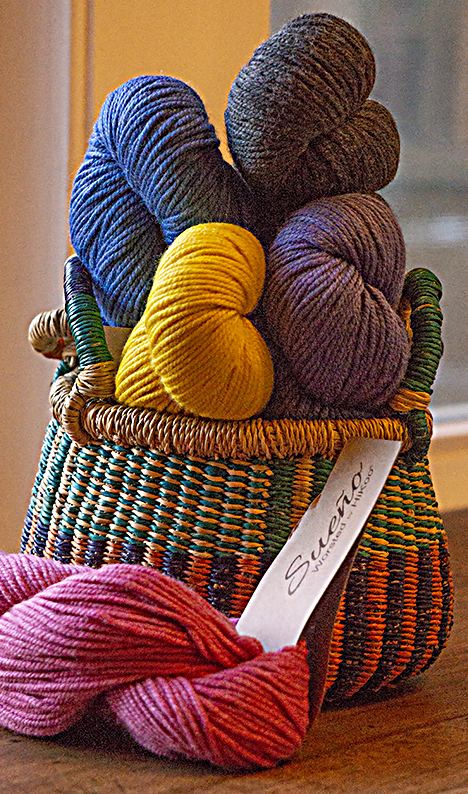 It’s HiKoo Sueño Worsted, a mix of merino and viscose that comes in a handsome array of colors and feels like a pat on the head from an angel. I’ll show you what I’m up to in two weeks. Note: The contest I mentioned at the end of the previous column has been postponed because y’all bought so much Zitron Art Deco all of a sudden that Makers’ Mercantile is nearly sold out. When supplies have been replenished (more is on the way from Germany) we’ll tell you what we have in mind. Zitron Art Deco (80% Virgin Wool, 20% Nylon; 437 yards per 100 gram ball). Shown in Color 05. 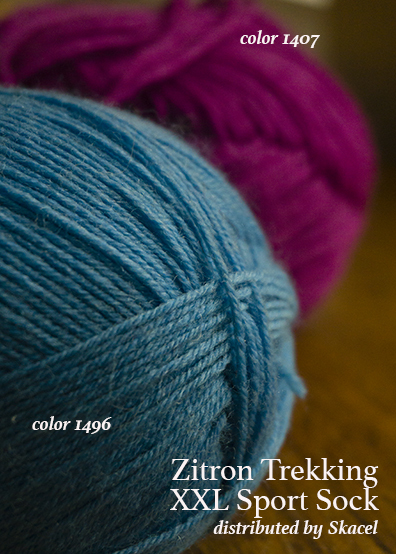 Zitron Trekking XXL Sport Sock Yarn (75% Superwash Merino Wool, 25% Nylon. 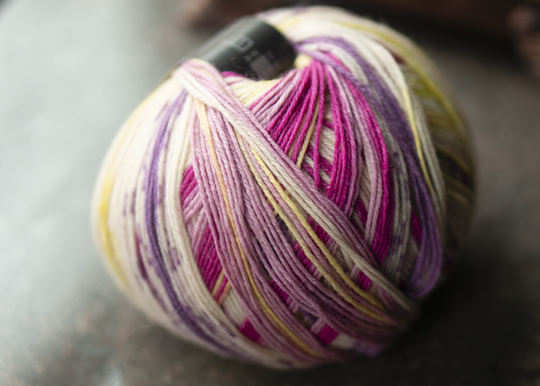 459 yards per 100 gram skein.) Shown in Color 1407 (sock), 1476 (bee), 1496 (blue). He travels constantly to teach knitters at shops and guilds across the country and internationally; and has been a popular member of the faculties of such festivals as Vogue Knitting Live!, STITCHES Events, the Maryland Sheep and Wool Festival, Squam Arts Workshops, the Taos Wool Festival, Sock Summit, and the Madrona Fiber Arts Winter Retreat. He will lead his own knitting cruise to Bermuda in September, 2018. To see the first part of this Zitron Art Deco challenge, click here. I’ve been looking forward to this part of the challenge. Weaving with self-patterning yarns is always a total gas. 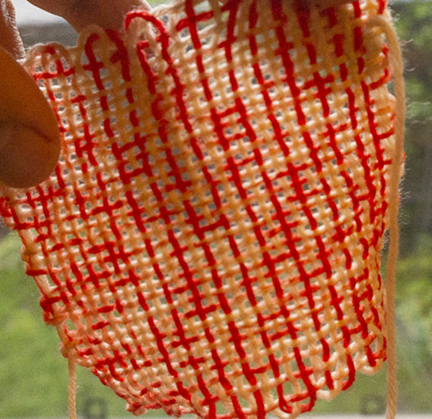 You can do the simplest possible weave and still get effects that make your heart flutter. June has been, as usual, an on-the-go month with more time spent away, teaching, than at home. That means all projects must be portable. The smallest loom I own is this one. 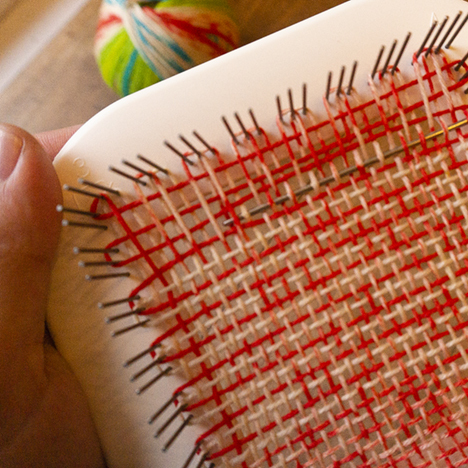 It’s a Schacht Zoom Loom, John Mullarkey’s updated take on the venerable handheld pin loom. 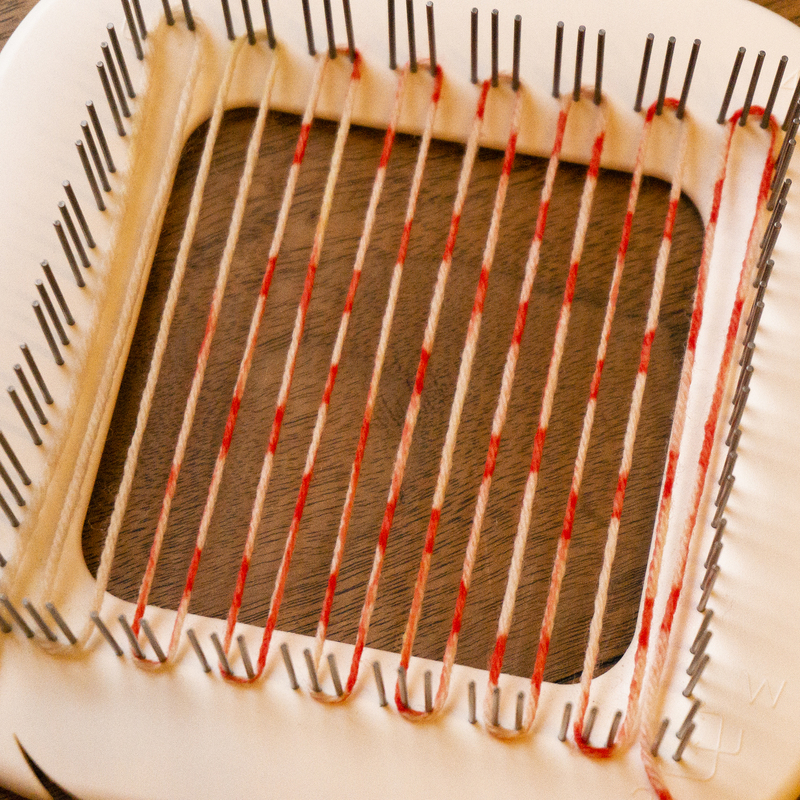 Pin looms of various sizes have been around for ages; the Zoom Loom is distinguished by being particularly light, tough, and comfortable to use. Most pin looms give me a cramp in the hand after a square or two. This one doesn’t. Pin loom weaving is simple, an excellent point-of-entry for the newbie; but the end product is handsome enough to make it a useful tool for any weaver. 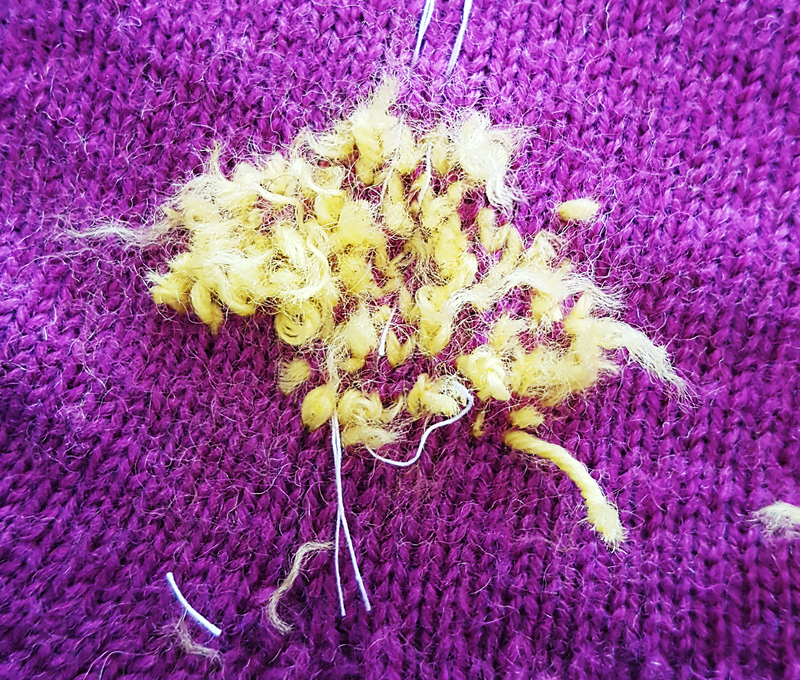 …wrapping the yarn around the pins, right off the ball. Then, with the included long weaving needle, you weave. 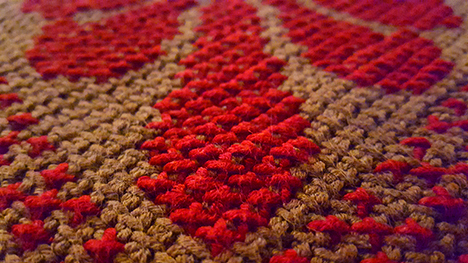 Weaving can be plain or patterned. Given that Zitron Art Deco is already patterned, I chose to keep the weaving plain. Well, okay. This is a challenge, after all–and that means experimentation. 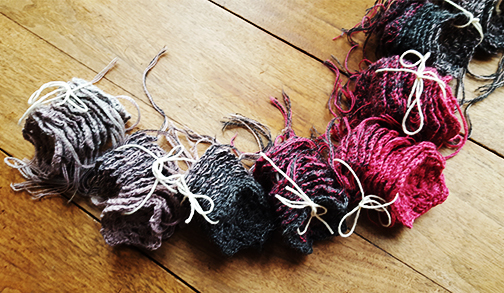 If you’re not a weaver (yet), the finishing process for handwovens may startle you. 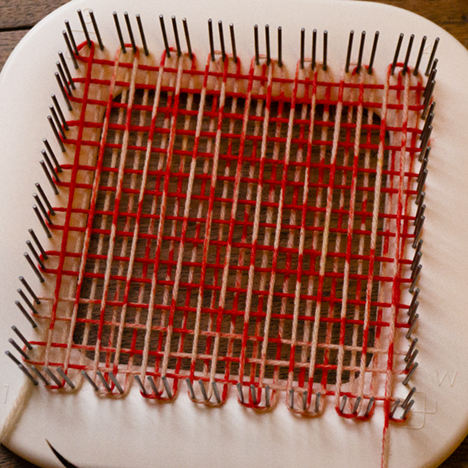 Handknitting and crochet are most often blocked gently, with the wet fabric shaped carefully hand or stretched gradually on cords, pins, or wires. Woven fabric, however, is often soaked and then pummeled mercilessly either by hand or by machine. and so I did, which gave me this pile of soggy squares. and I did. I put them through a full cycle in a HOT dryer. 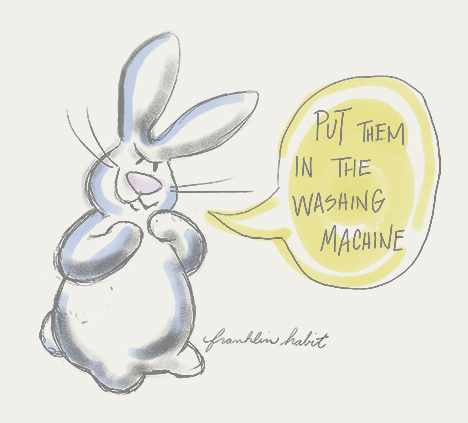 A brazen violation of the washing instructions on the label. Did I feel guilty about this? 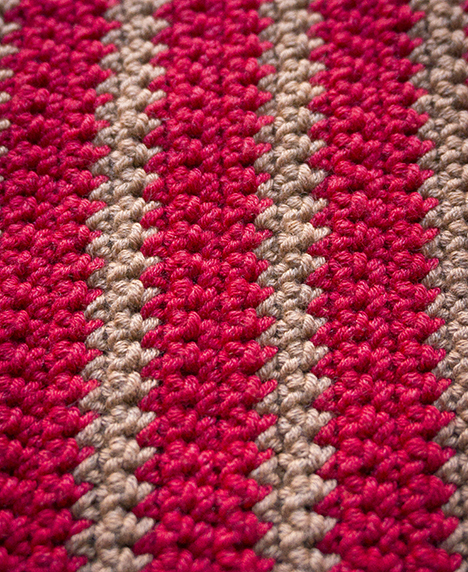 I decided to firm them up a tad more with quick edgings of single crochet, using a Size 2.75mm hook, working all stitches under the first thread in from the selvedge. Then I started joining them with more crochet. Little bitty flowers. …which, frankly, is one of the ugliest things I have ever made. What’s the superlative form of ugly? Fuglissimo? What the hell is this, anyway? Is it a garment? I wouldn’t wear it. I wouldn’t let you wear it. I wouldn’t polish my boots with it. There’s just too much going on. 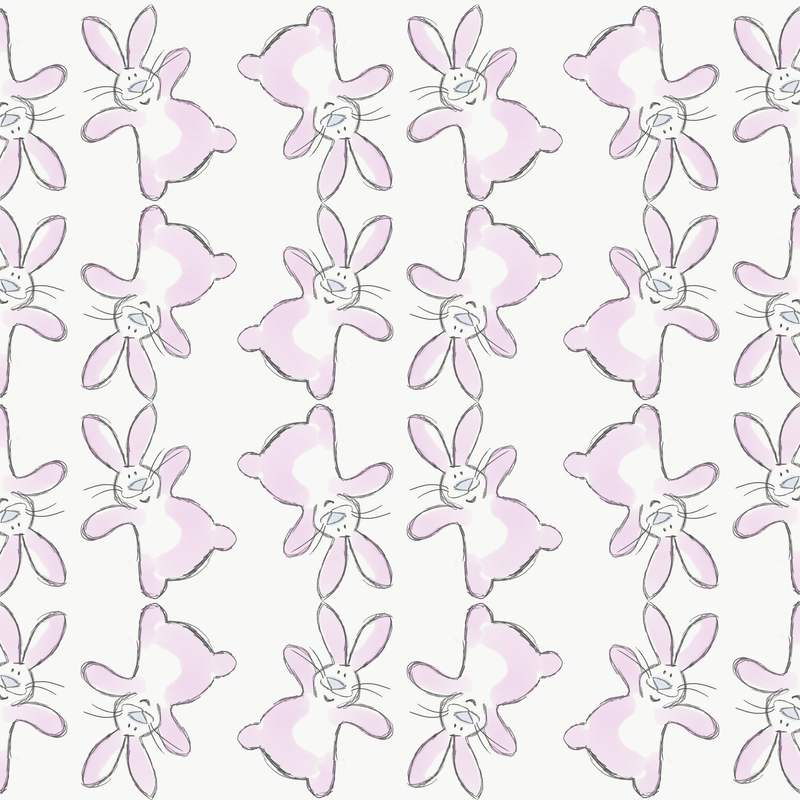 You got the lumpy little flowers, some of which (again, I blame the dryer fumes) are backwards. You got the chain stitch diamond at the center, where I didn’t know what else to do. Plus you got all the color going this way and that. and joined them with simple slip-stitch crochet, using a size 3.25mm hook. 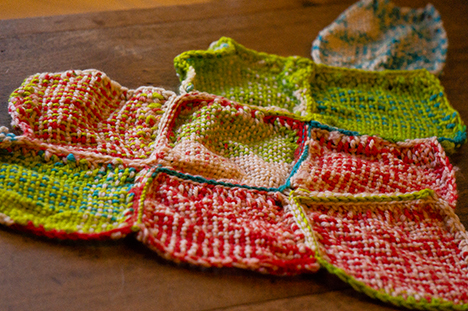 That meant the slip stitches were just a little too small to allow the squares to lie flat, creating a gathered fabric. Then I put the whole piece through the wash-and-dry process again, just to be a little dickens. Now I think we have…well, not something. But at least the start of something. 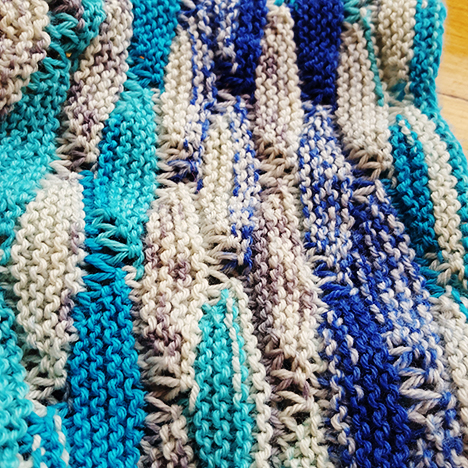 In two weeks, I’ll wrap up my part of the Zitron Art Deco challenge with a look at the knitting, crochet, and weaving stages; and I’ll introduce Stage Four– a challenge for you. With prizes, of course. Zitron Art Deco (80% Virgin Wool, 20% Nylon; 437 yards per 100 gram ball). Shown in Colors 01, 03, and 05. 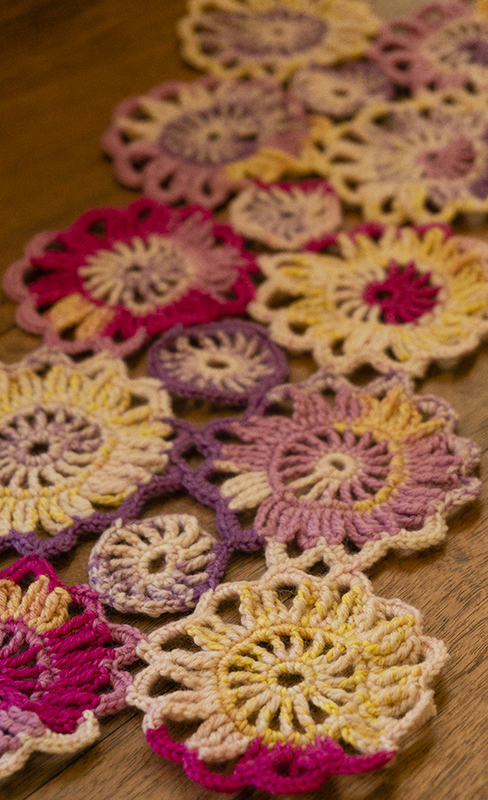 This week, we’re back to crochet. I love having multiple forms of craft in play all at once. I find that I get more finished when I do. 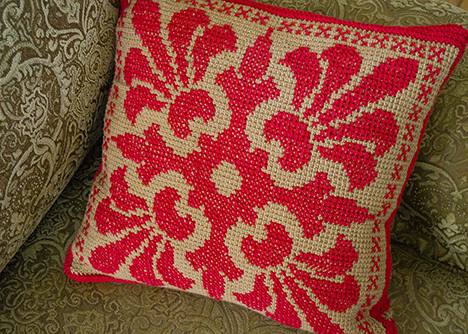 It’s refreshing to set aside knitting and play with crochet; or do a bit of weaving and then change over to embroidery. A change, as my grandmother often reminded me when I had finished washing the woodwork and was set about weeding the garden, is as good as a rest. …and work it so that the planned self-patterning is all mixed up; but gives a result that’s pleasing. I am still miles away from knowing enough about crochet to design anything interesting. So I turned to my shelf of antique and vintage patterns in search of something fun. In the twenty-eighth series of Weldon’s Practical Crochet, published in London in the last quarter of the nineteenth century (pinning down more exact dates for individual issues of Weldon’s Practical Needlework is tricky), I found this tantalizing little number. This was intended to be worked in white Number 10 or Number 12 cotton as an antimacassar–a decorative but practical cover for the back of chair, meant to protect the upholstery from the macassar oil used by men to dress their hair. I wanted to see it with Zitron Art Deco–a heavier gauge, and splashed with color. While I was waiting for the Art Deco to arrive in the mail, I grabbed some of the Schoppel-Wolle Edition 6 left over from the Five Hour Baby Jacket embroidery and had a go. This was enough to get me excited. 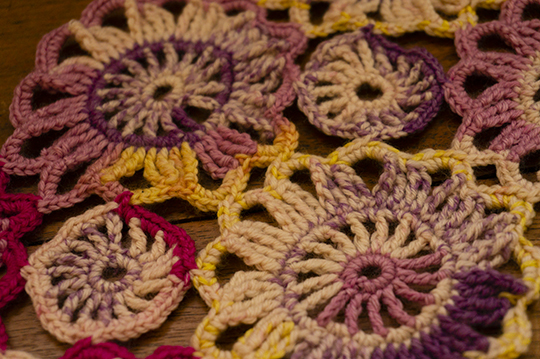 I worked it straight from the original pattern, albeit with the usual pause to check the differences between British and American crochet terms. Of course, I paused only after I had already done it wrong. I always guess, and guess incorrectly, when I can’t recall whether British single crochet is bigger or smaller than American single crochet. 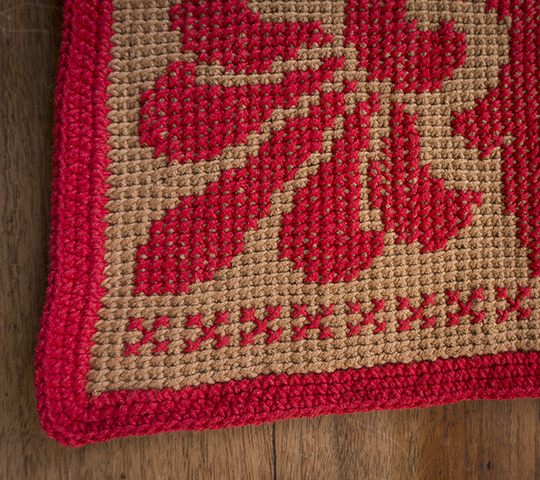 Here, translated into modern American crochet language, is the pattern. 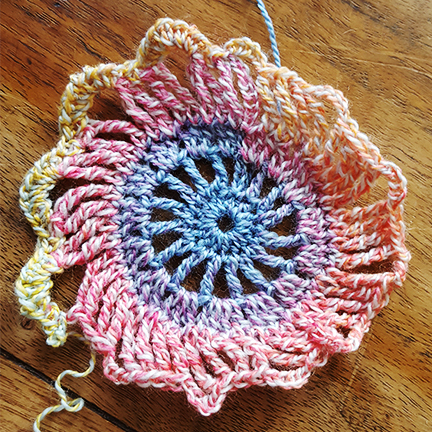 Note on gauge: with the Zitron Art Deco yarn used in the sample and an addi® Colours crochet hook size US B (2.5mm), the author created large motifs measuring about 3.5 inches in diameter. Beginning. Chain 8, join into a ring. Round 1. Work 16 single crochet into ring. Round 2. Chain 7 (counts as first treble crochet and chain 2). *Treble crochet under both threads of next single crochet, chain 2. 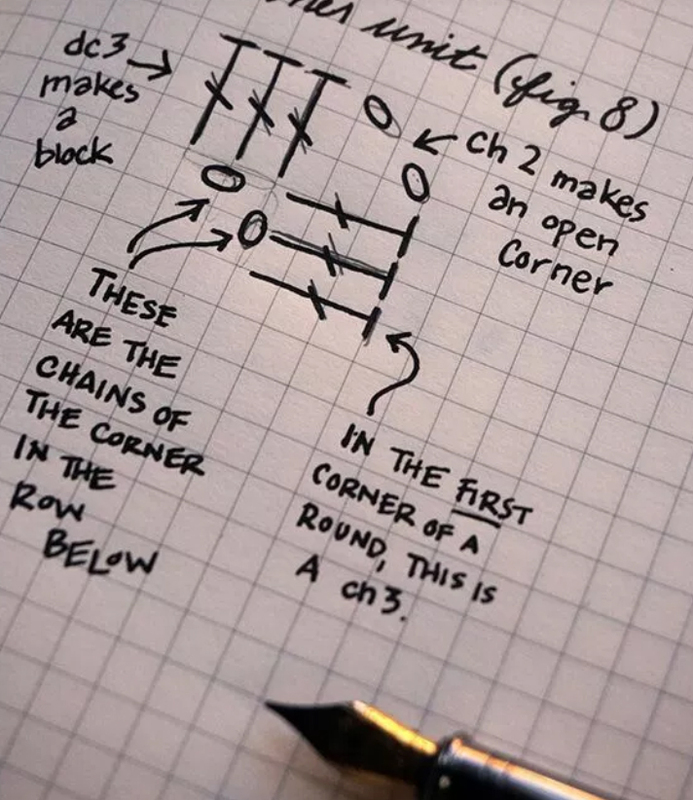 Repeat from * until you have 16 treble crochet (including beginning chain). 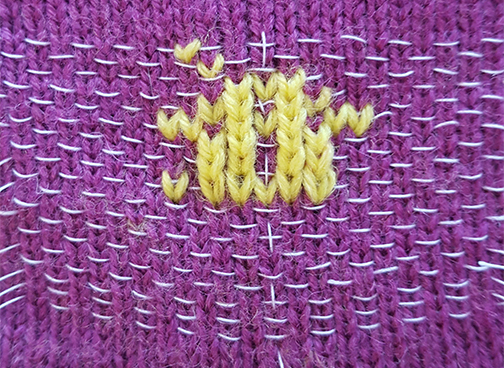 Join final chain 2 to fifth stitch in beginning chain. Round 3. Work 3 single crochet into each chain 2 space of previous round. (Total of 48 single crochet.) Join to close round. Round 4. Chain 7 (counts as first double treble crochet). Work 3 double treble crochet under both threads of next three single crochet, chain 5. 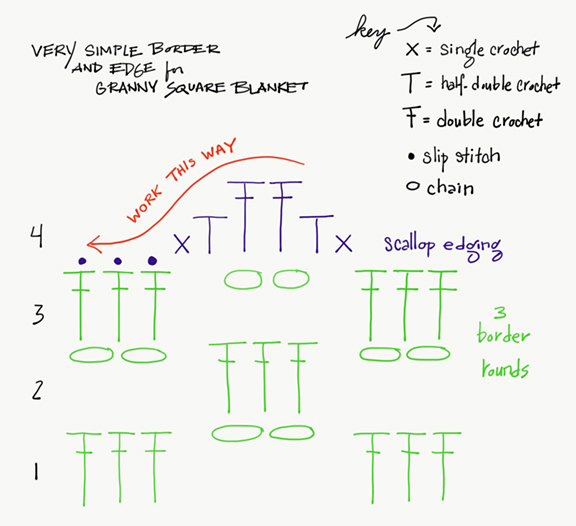 **Work 4 double treble crochet into next 4 single crochet, chain 5. 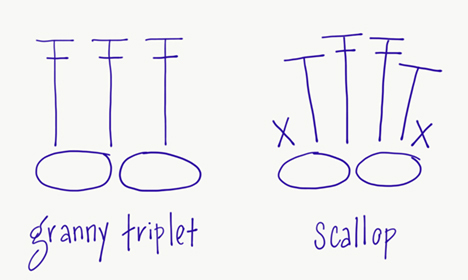 Repeat from ** until you have 12 groups of 4 double treble, all separated by chain 5. Join to close round. Round 5. 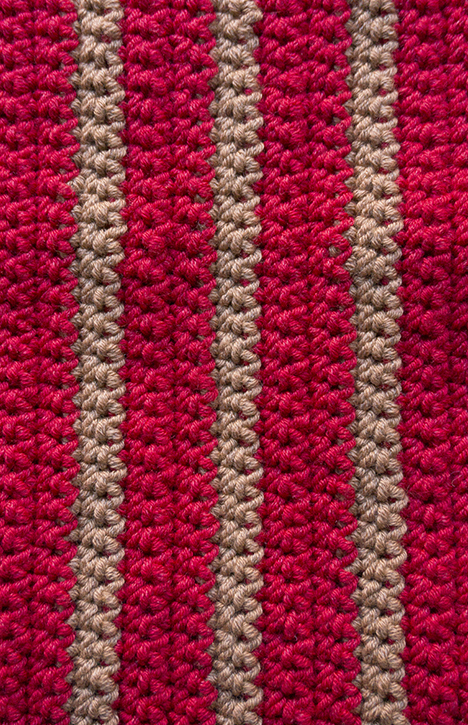 Work 1 single crochet between the second and third double trebles of the first group of the previous round. Work 8 single crochet around the following chain 5. Continue in this way, working 1 single crochet between the second and third stitches of each group of 4, and 8 single crochet around each chain 5. 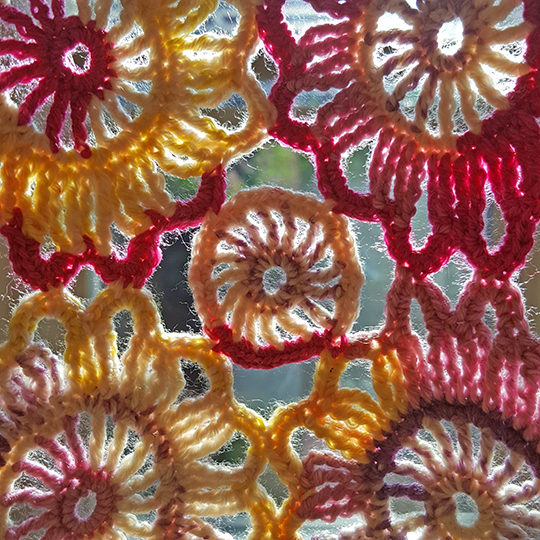 Subsequent wheels are joined in the fifth round by uniting*** fourth and firth single crochet stitches of two successive outer loops to the corresponding stitches of previous wheels (see illustrations). The space between a group of four wheels is filled with a small circle (the original pattern charmingly calls it a “circlet”) formed by working the wheel motif through Round 3. In working Round 3, unite*** the center stitch of every fourth space to the outer loop of an adjacent wheel. ***I used a flat join for these. …I took to wheeling in public. Without a pattern. Without caring who saw me. I HAD NO SHAME. I HAD TO MAKE MORE WHEELS. When I eventually regained full control over my faculties, I found I had a little garland of wheels. I liked it very much. It made me smile. It made me giggle. It made want to flip up my kilt and run barefoot through a meadow. The garland was a little wrinkly, so I soaked and blocked it. No pins. Just soaked in clean water, patted into shape, and laid flat to dry. Then I liked it even more. The way the self-patterning colors break up, the individual wheels look a little odd and unbalanced–but connected as a large piece, they look vibrant. And the motifs are bold enough to stand out in through the color changes. I want to keep adding to the garland until it becomes a scarf or a shawl. I know I will, since I am unable to stop making these wheels and they all have to go somewhere. In the meantime, with the work at about 17 inches long, Little Girl Upstairs (Rosamund’s dear friend, and big sister to Upstairs Baby) was kind enough to model it for me. She told me she expects to get it when it’s finished. The knitting part of the challenge is complete. 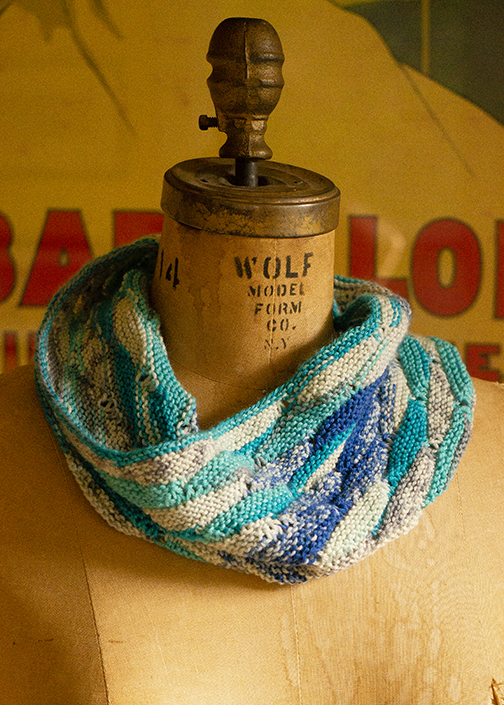 I made the short-rowed cowl in Color 01 about as high as I figured it ought to be and bound off. Decent little thing. Cute fabric, good drape. Amusing to knit. As I’ve said before, my customary practice with all knitting is to wet finish. It smooths out the stitches, cleans the fabric, and lends a more professional appearance. 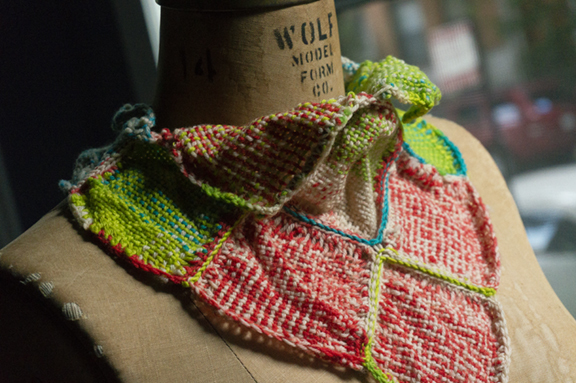 This cowl is an object lesson in the benefits of wet blocking. I soaked it for a couple hours in plain, tepid water; then removed it from the water, rolled it up in old towels, and jumped up and down on it until it was still damp, but not sopping. Then I laid it flat to dry. Look what happened. Not only is it (much) larger, with better drape; but the fabric itself is handsomer. 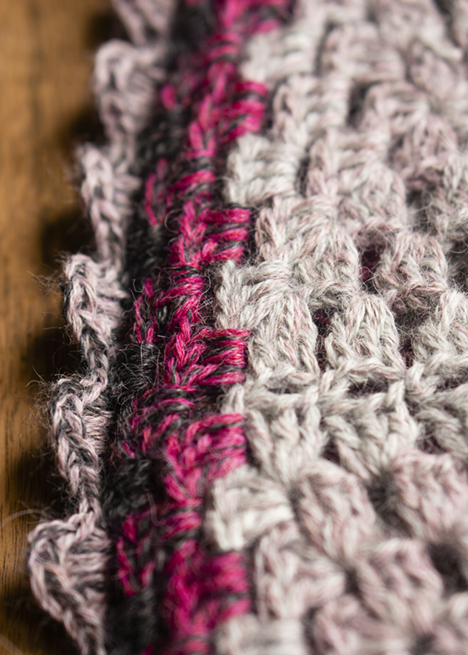 The short-row lozenges have opened up beautifully as the stitches relaxed. And all that comes from about half a ball. Yes, that will do. 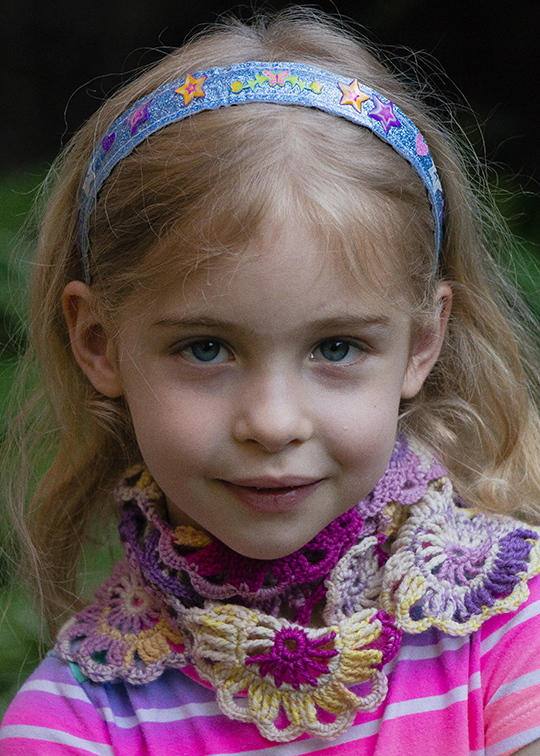 We’re going to make the complete pattern for this available as a free Makers’ Mercantile download. Watch this space. Get over here, you cute little thing, you. …on a Schacht Zoom Loom. 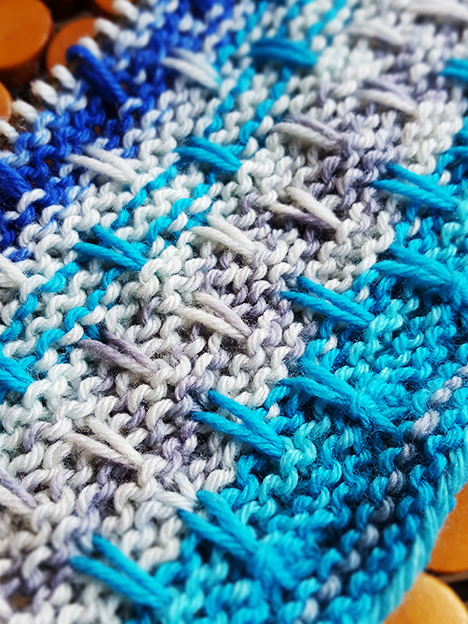 Self-patterning yarns usually do crazy cool stuff when you weave with them. I expect shenanigans of the very best kind. Makers’ Mercantile was so pleased with the demand for my “Yarn Sheep” leggings that they asked me to do another yarn-themed design for them. 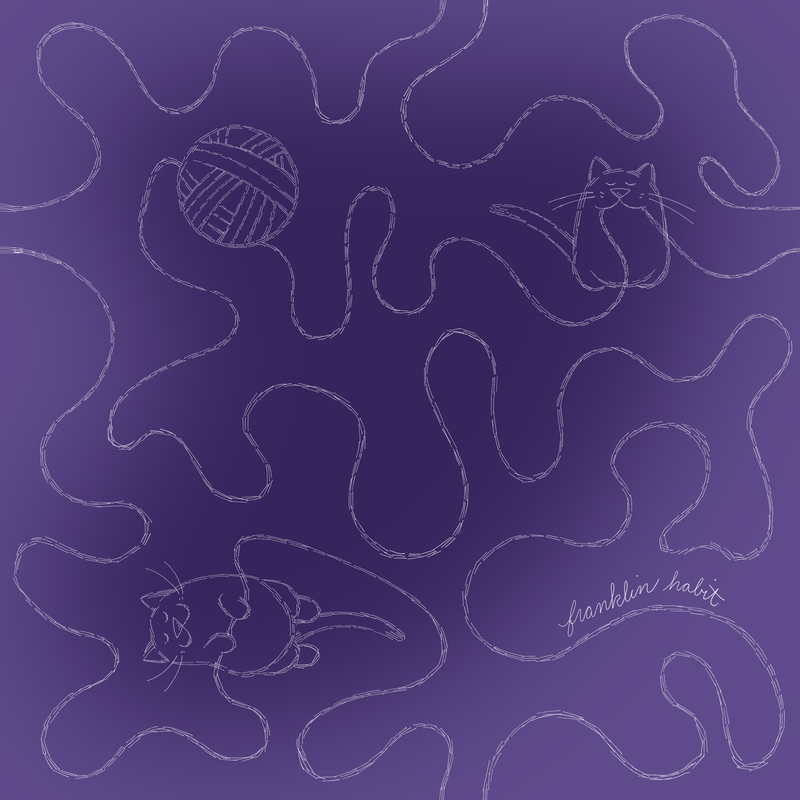 The result is “Endless Yarn”–cats and balls entangled forever. Available in sizes XS to 6XL–full details are here. 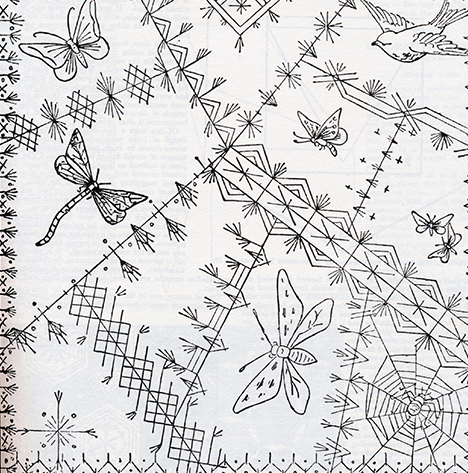 “Endless Yarn,” a new design for leggings for Makers’ Mercantile. Zitron Art Deco (80% Virgin Wool, 20% Nylon; 437 yards per 100 gram ball). Shown in Colors 01, 02, and 03. My first idea is seldom my best idea. 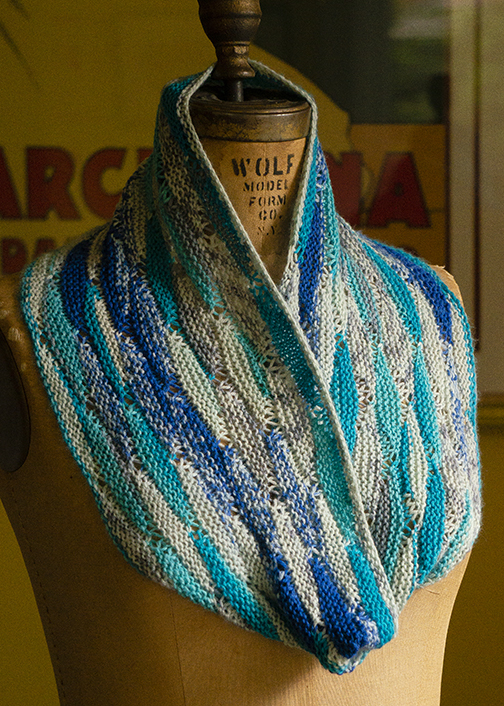 I started my three-part Zitron Art Deco challenge with knitting. 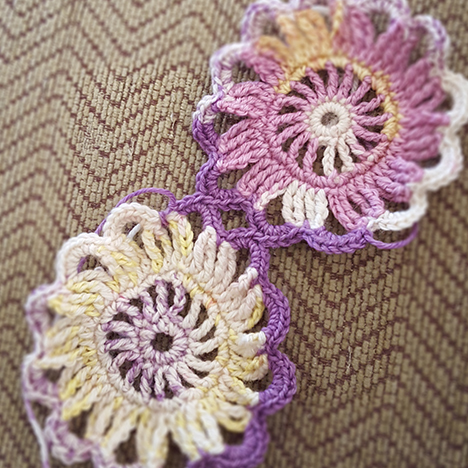 It felt good to be back on familiar ground again after so much crochet. Mind you, I’m increasingly fascinated by crochet. But I’m in that Slough of Despond I reach whenever I’ve learned enough about a new craft to want to play with it, yet haven’t learned enough to get very far on my own. 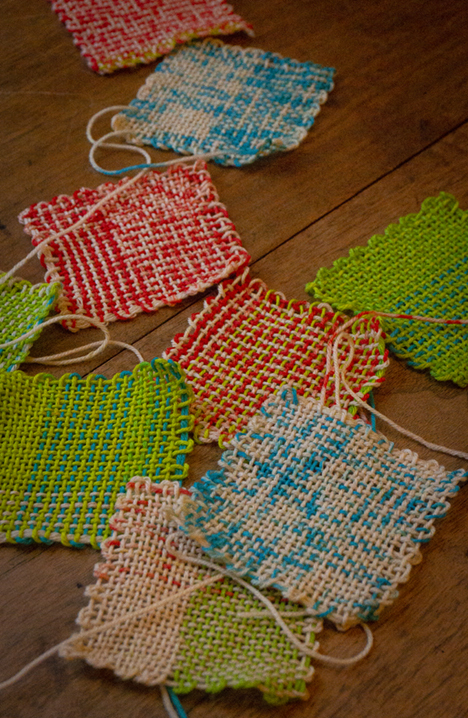 …and use three techniques (knitting, crochet, ZoomLoom weaving) to mess around with the patterning that Zitron intended. Their pattern is very handsome; I’m just a congenital contrarian. 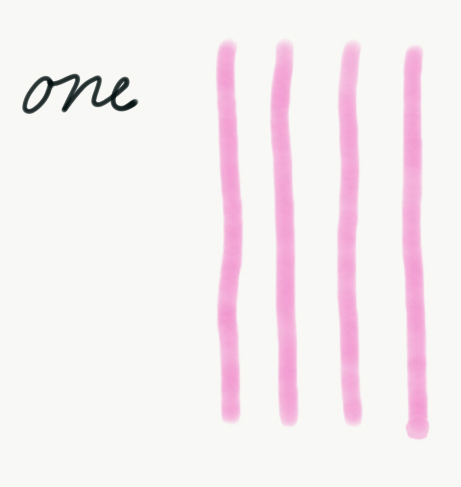 3) you’ll be making rounds or rows of “average” length (not notably short or long). So the first and easiest way to break the self-patterning is to choose a texture other than stockinette. Even switching to garter stitch will incite a metamorphosis. I didn’t feel much like playing with very loose gauge, and only a die-hard masochist would undertake very tight gauge. I picked a needle I figured would give me decent garter stitch and cast on. It’s also fun to see what happens to self-patterning yarns when you employ any method that pulls a stretch of yarn out of what would otherwise be its accustomed row. Knitting into the row below will do it; so will slip stitch knitting. Slippy McSlipstitch is three rows high. In all my years of knitting I’d not yet tried what you might call extreme slip stitch, in which the stitches to be slipped are given extra yarn (usually through double, or even triple, yarn overs); and then these stitches are slipped on three, four, five, or even six (or more) rows. That’s where I started, and the result was okay. It’s not unattractive. With some elaboration–changing the frequency of the slipping, or varying the lengths–it might become quite interesting. It didn’t grab me, though. I was mildly curious about what else to pursue along this line, but only mildly. There’s one other tactic you can take with self-patterning yarns. 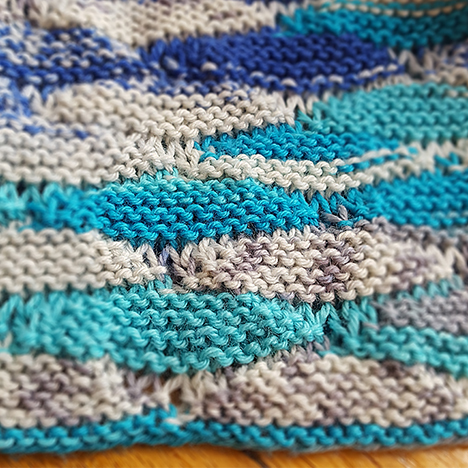 Rather than breaking up the pattern–which is really a carefully organized form of color pooling–you can keep the pooling, but change the way it shows up. 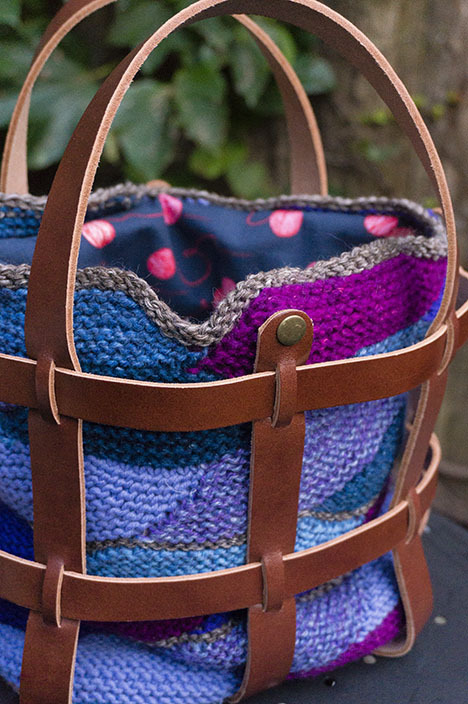 Cage Purse with Knitted liner in various Makers’ Mercantile yarns and fabric lining by Cotton + Steel. and I wondered if I might not just use the same technique–building of up a fabric made of continuous short-rowed motifs–to alter the pooling and patterning in Art Deco. 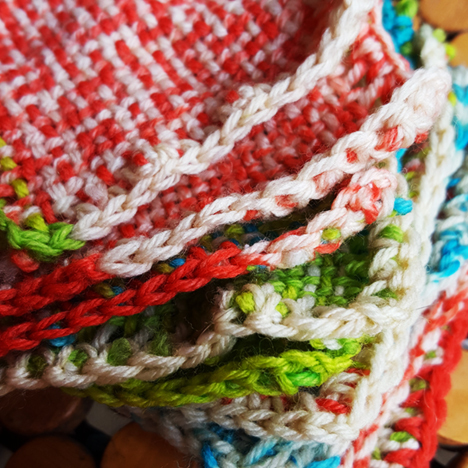 I won’t get into the nitty-gritty of short rows here–if you’d like to know more, do click over to read the Cage Match series–but in brief, I decided I’d try knitting a fabric built up gradually from small short row lozenges like this. Many turns make a lozenge. The early stages were, as early stages in any repeating fabric often are, ungainly. When I teach motif design, a point I hammer home is that a repeating motif only begins to sing when you let it repeat. One round of lozenges wasn’t much too look at. It wasn’t enough knitting to even bring every color in the color way into play. You’ll notice there are also little passages of stockinette mixed in with the garter. At first, this was a mistake. It happened because I turned the work and knit in the wrong direction. You may have heard, though, that a mistake repeated regularly becomes a design element. I thought, why not keep it and see what happens? And as it has grown larger, I have found myself very pleased indeed. 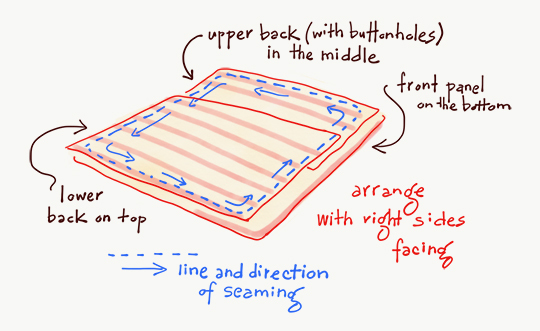 The self patterning is there…it’s just not there in the way the maker intended. 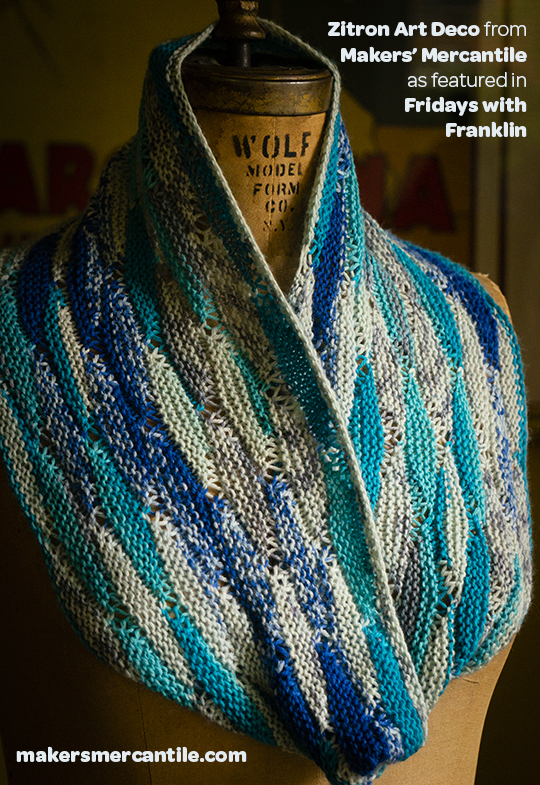 I like this so much that when the challenge is complete, we will put the pattern together–it’s a cowl, worked in the round–and issue it right here on the Makers’ Mercantile blog. 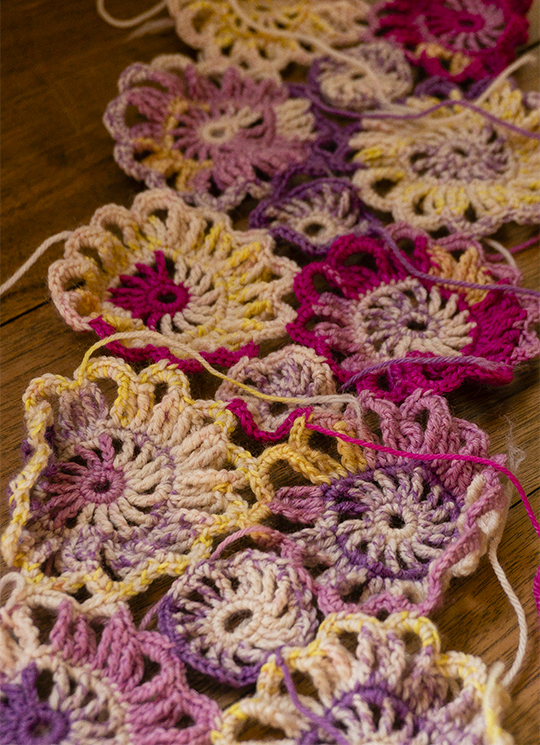 Meanwhile, the second part of the challenge–crochet–is under way with Art Deco in Color 05. I’ll show you in two weeks. 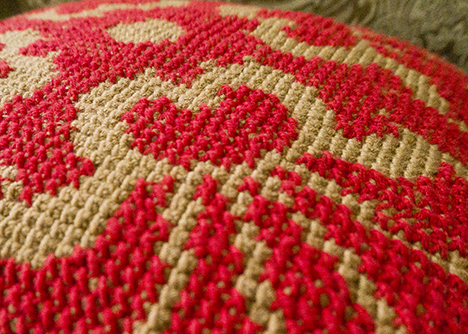 I am pleased to report that the embroidered Tunisian crochet pillow (in HiKoo CoBaSi Plus) is giving excellent service as a companion to loafing and napping. It still looks as crisp as the day it was finished. Please enjoy this action shot starring Rosamund. We have plans to eliminate the remaining ugly green throw pillows as quickly as possible. 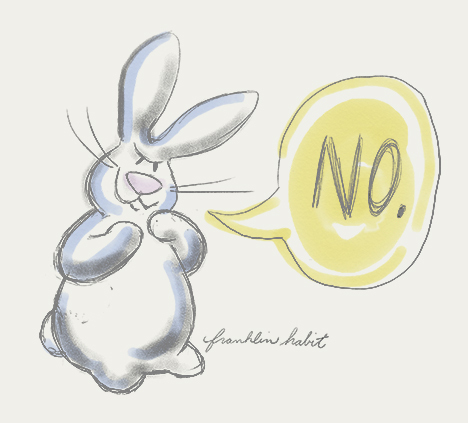 0	Fridays with Franklin: Whither Shall I Wander? 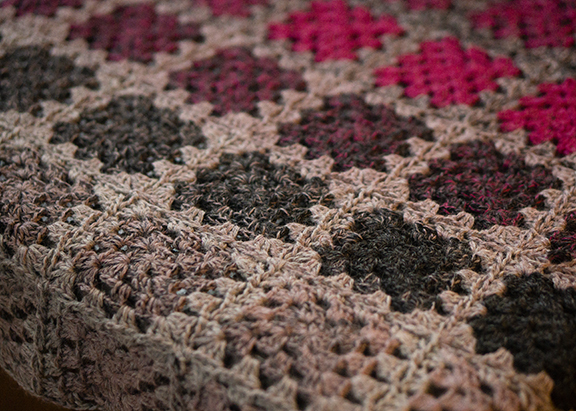 For the first part of the granny blanket project, click here. 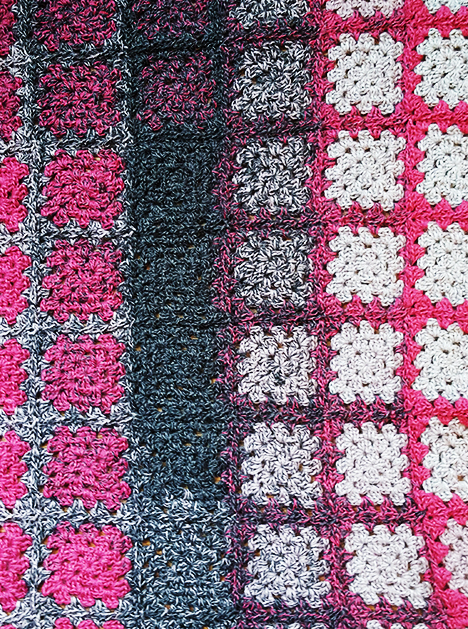 I decided to break open the fourth bun of HiKoo Concentric, and give the granny square blanket a border and edging. In for a penny, in for a pound. 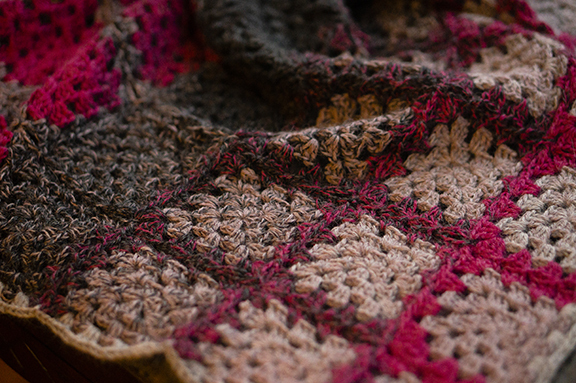 My first granny square blanket, as yet unadorned. Maybe half a pound. I briefly entertained the idea of making the edging elaborate–even frilly. I have vintage crochet books stuffed with hilariously complex edging patterns that look like they’d be at home on Belle Watling’s underwear. 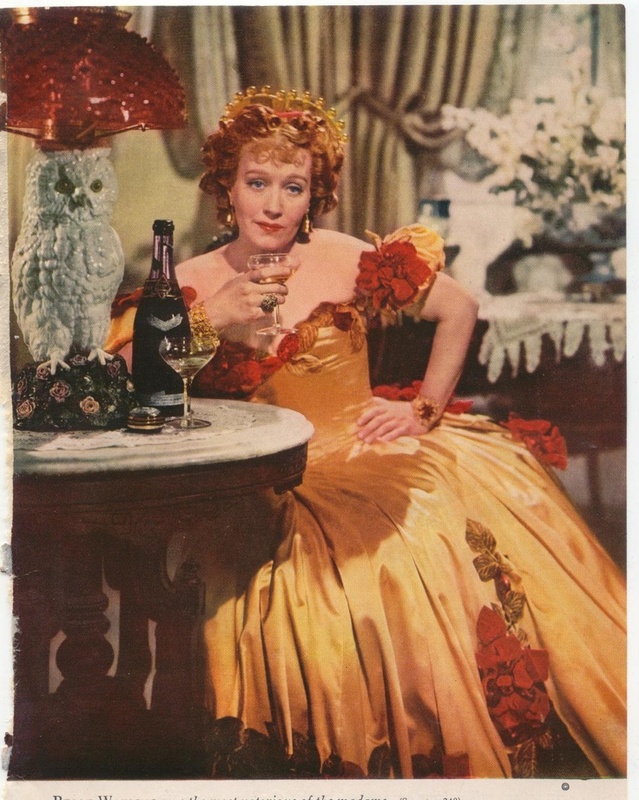 Belle Watling, as played by the immortal Ona Munson in “Gone with the Wind.” Her simple, spare style was a revelation to my pre-teen self. Please note, and admire, the owl lamp. Frills take time, though. I’m still not a quick or clever crocheter; and the calendar was pressing me to finish this project and move on with others. Sometimes a deadline is my best friend–it keeps me from going bananas with those tiny touches that, in sufficient numbers, can crush the life right out of a design. So my border, at last, was no more than three rounds of double crochet triplets circumnavigating the assembled granny squares. 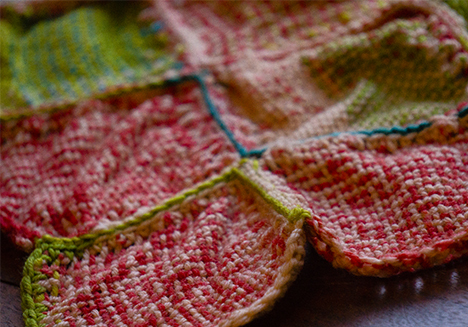 And my edging was a single round of a simple scallop, worked into each open space, with slip stitches between. uses more yarn to fill in the same amount of space. The swing of the blanket it delicious. 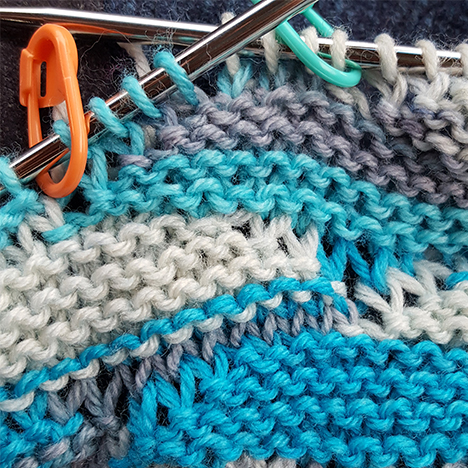 But what happens when you cram so many additional stitches of the same gauge into an edging–any edging, knitted or crocheted? The edge will ruffle. I decided to call this a design feature. See my amazing ruffled edge? I meant to do that. Shut up. I’m honestly awfully fond of this blanket. 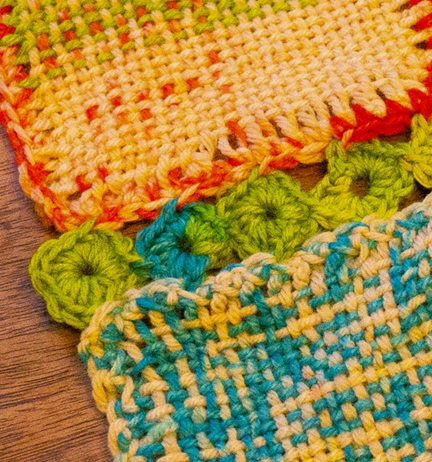 You can do up a less expensive granny square blanket, to be sure. 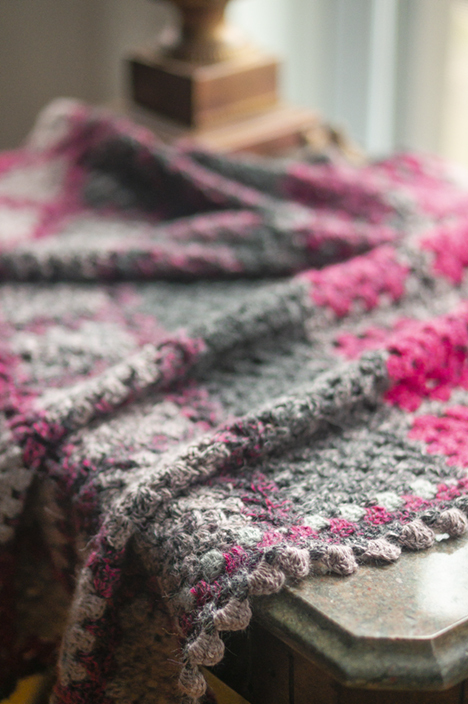 If you are crocheting one that is going to be dragged around the house by the kids, and have soda pop and corn chips spilled on it, and require heavy laundering once a week, you might prefer to go with something more robust and economical, like HiKoo Simpliworsted. However, if you are making a special gift; or if you have a reached that divine level of adulthood that allows you to spoil yourself silly with something plush and gorgeous while you nap or cuddle, I don’t think you’d be disappointed in HiKoo Concentric. Certainly, my personal Blanket Quality Inspector, Rosamund, is taken with it. I was still shooting photographs when she decided to hop up on the worktable and make herself comfortable. 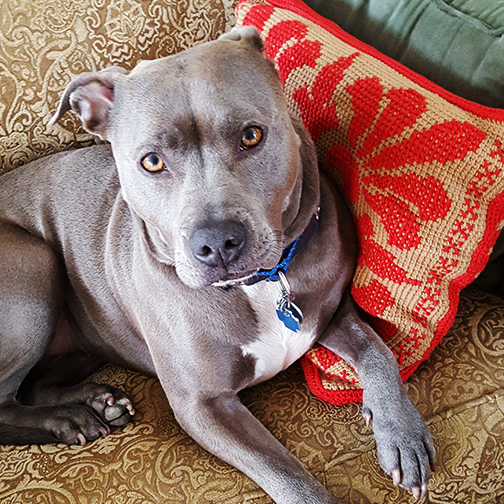 It took some doing, including the rare promise of a spoonful of peanut butter, to get her to give up her seat. And if you think Rosamund is easily pleased by any old blanket, you have not met Rosamund. With the border approaching completion I began to wonder what I ought to show you next. 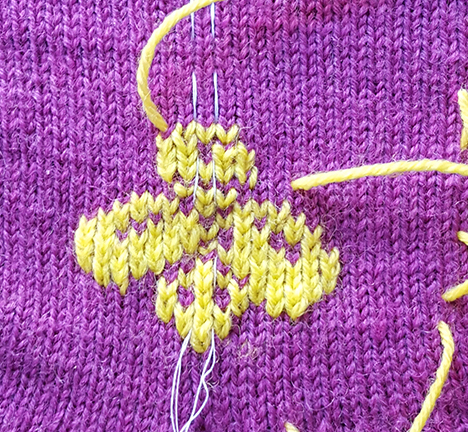 I’m still knitting the second Bee Sock, so that’s not much to see. But then Makers’ Mercantile told me they’d brought in a new self-patterning yarn from Zitron called Art Deco. In fact, they’re the sole American retailer to offer it. They sent me a few balls to play with, and I’ve decided to use it in a challenge. 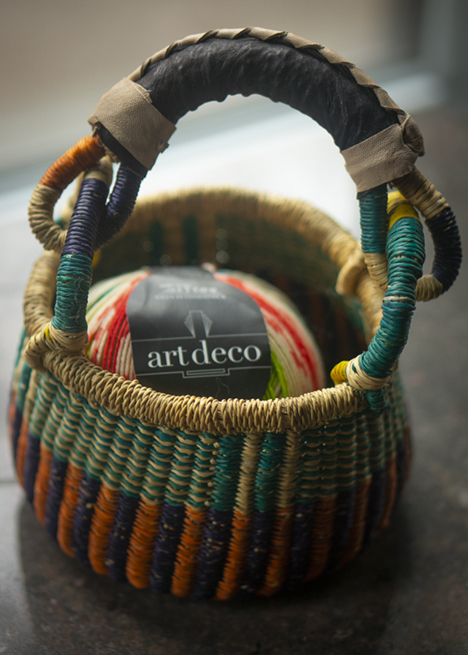 I love the little basket they sent with the yarn–woven by an ethical collective in Bolgatanga, Ghana; and imported on fair trade terms by Big Blue Moma. 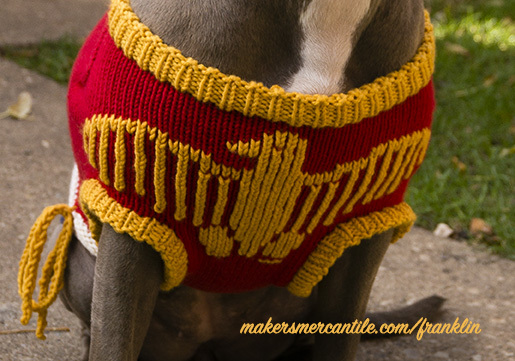 Makers’ Mercantile has them in stock, along with larger shopping and project bags. Zitron Art Deco is designed with self-patterning in mind; but I’m going to try it out in three techniques–knitting, crochet, and weaving on a Zoom Loom–and in every case do my darnedest to mess up the handsome pattern that the very clever and hard-working people at Zitron intended to appear. Remember, just because the label tells you how you should knit it, doesn’t mean you have to knit it the way they tell you. Or that you have to knit with it at all. So, three two-ball projects with Zitron Art Deco. one in project in Color 05. 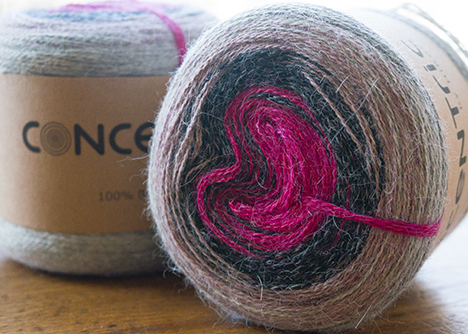 HiKoo Concentric (100% Baby Alpaca; 437 yards per 200 gram cake). Shown in Color 1027 (Trixie). Zitron Art Deco (80% Virgin Wool, 20% Nylon; 437 yards per 100 gram ball). Shown in Colors 01, 02, and 05. 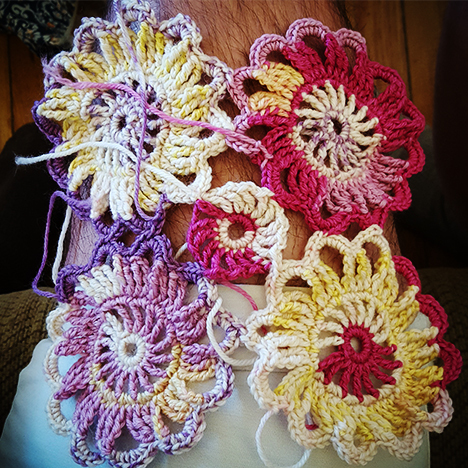 The last time I wrote about granny squares in this column it was to exult over having finally figured out how to do them. 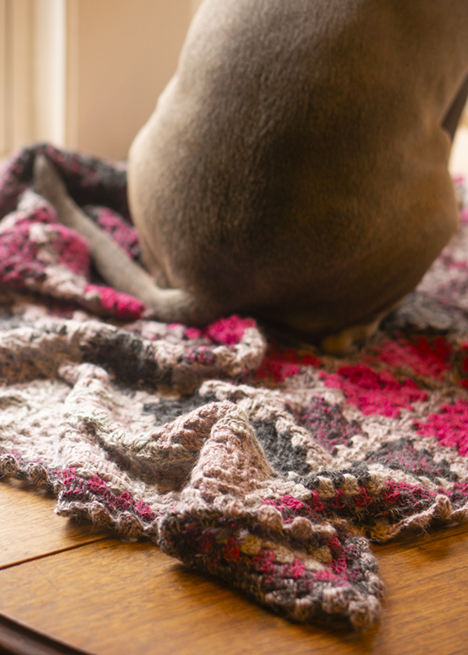 Those who learned to crochet at mama’s knee are welcome to snicker, but they were a tough nut for me to crack. I was brand new to crochet. I knew nothing. And so often, the answers I got from crocheters to whom I appealed for help were, shall we say, opaque. 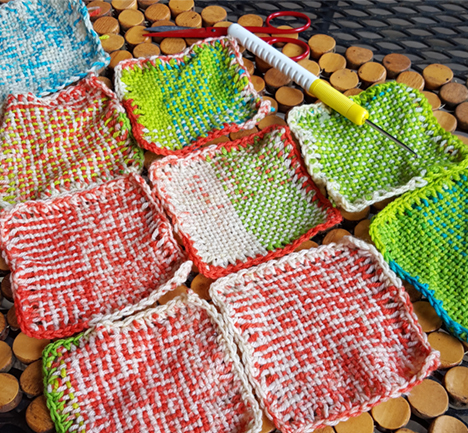 I did finish six granny squares and assemble them into a multi-purpose accessory for the bath. You can see it here. 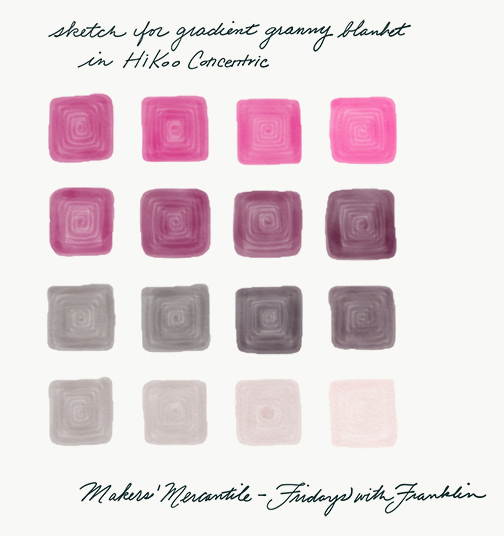 But I still hadn’t made myself the sine qua non of granny-based fabrics: a blanket. 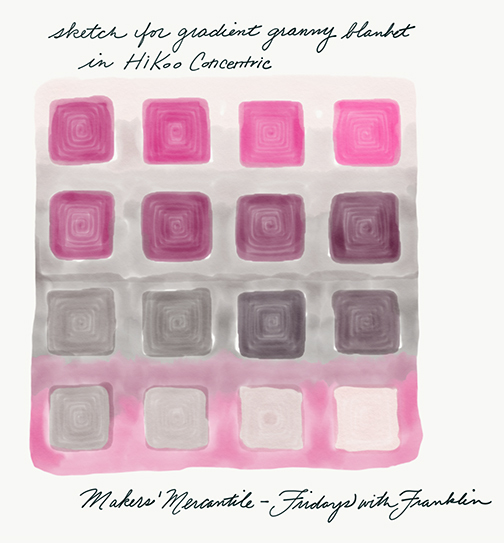 Since this space is supposed to be the place where I try new stuff while people watch, it made sense to ask Makers’ Mercantile if I could use one of the newer HiKoo yarns, Concentric, for my blanket. HiKoo Concentric is interesting stuff. 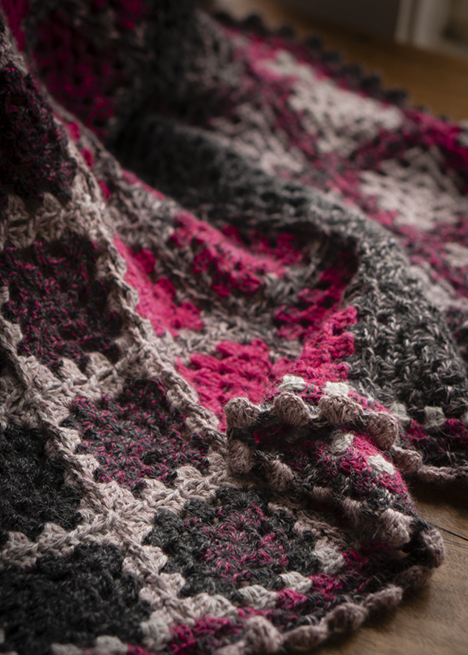 It’s spun from 100% Baby Alpaca, so it’s soft and drapey–two qualities highly desirable in a blanket. The construction is wild. Check this out. 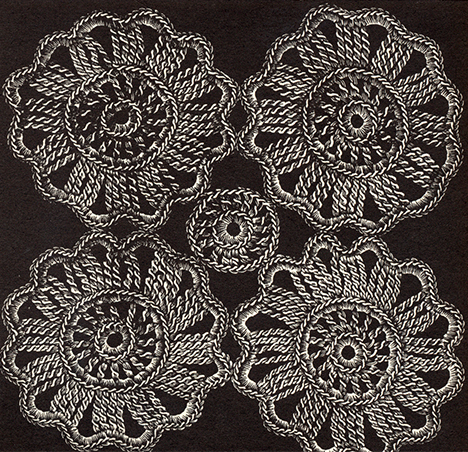 The strand is made up of what are, essentially, four strands of two-ply lace weight. 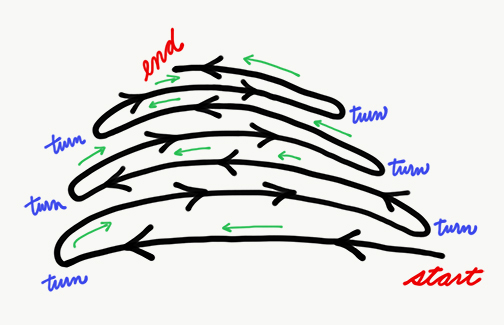 These four strands aren’t twisted together–they just lie next to one another. There’s more. Every so often, one of the plies in one of the strands changes color. A bit further along, a second ply changes color. Then another, then another, and so forth until they have all changed. 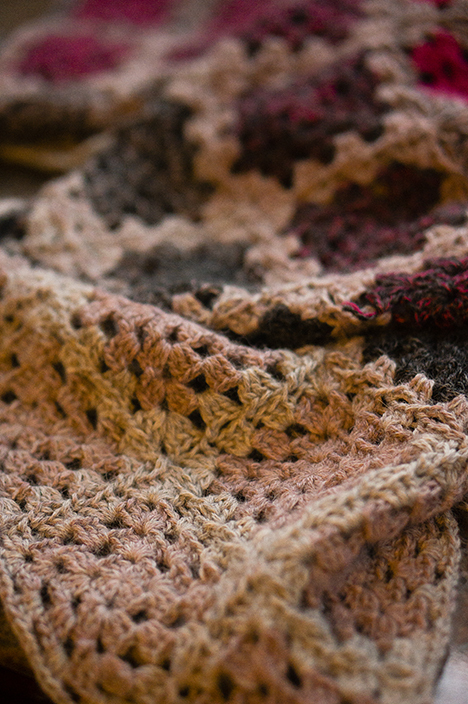 The result is a slow gradient yarn, but the shifts from one color to the next are attractively speckled or flecked. The yarn is put up into a bullseye bun from which you can work without prior winding. 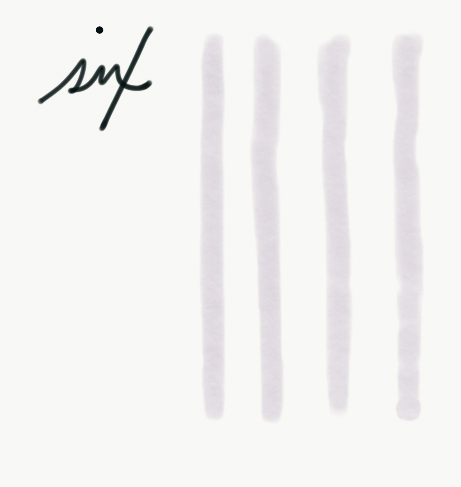 I picked this colorway, Trixie, and planned a simple experiment. Emphasis on simple. I had a boss once who was entirely useless except as a dispenser of clichéd workplace acronyms, of which his favorite was KISS, or Keep It Simple, Stupid. He used to write it all over my project proposals. I was still feeling a little scarred from my bout with the stenciled warp, and at the top of my notes for this project I scrawled KISS. To join the squares, I considered join-as-you-go (JAYGO); but as is so often is the case, I had to consider portability. 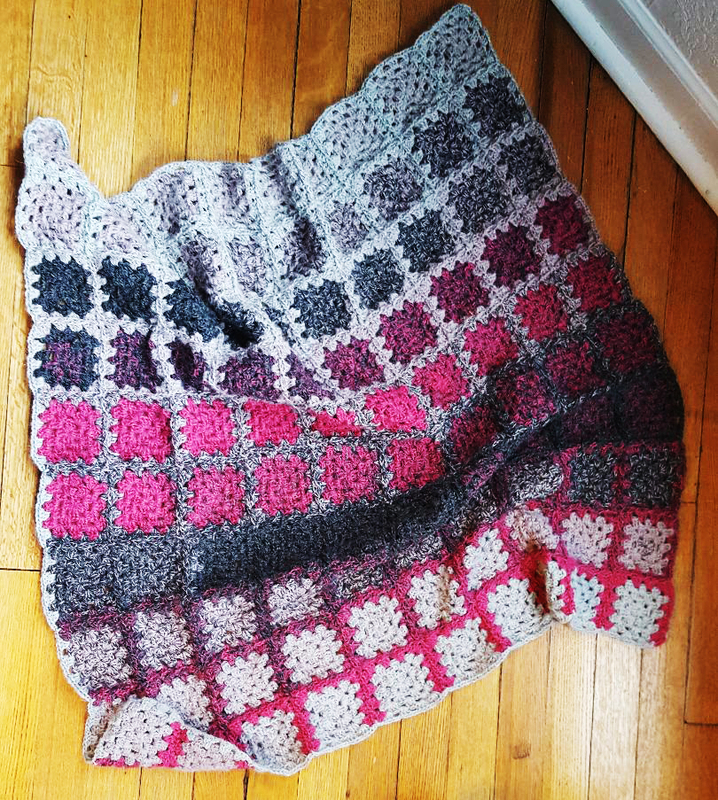 A JAYGO blanket very quickly becomes too large to haul around in a carry-on bag, and January through May is the time of year when my teaching schedule keeps me almost constantly away from home. 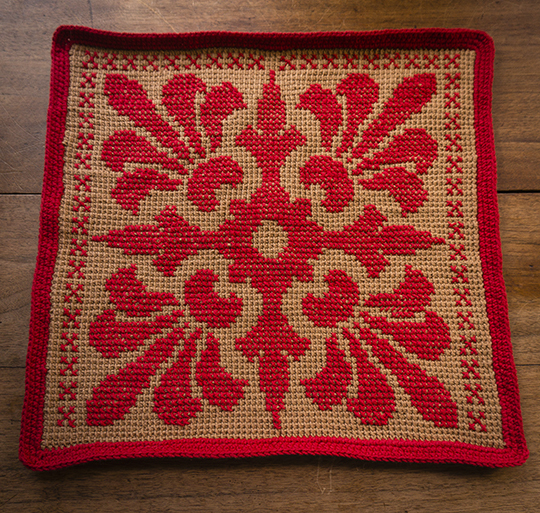 In Edie Eckman’s excellent book, Connect the Shapes Crochet Motifs, she lays out a method for joining granny squares that gives every square an additional round of double crochet, so the finished effect is side-by-side squares with minimal interruption from the join. I decided to try it, since I imagined it would allow me to use a new bun of Concentric and run the gradient in the direction opposite the gradient used in the squares. How big would this blanket be? I decided that through the highly scientific process of choosing a size of square that seemed reasonable to work while sitting in an airplane seat (three rounds), then working an entire bun to see how many I got. With a US Size 4 (3.5 mm) hook, I got fifty. 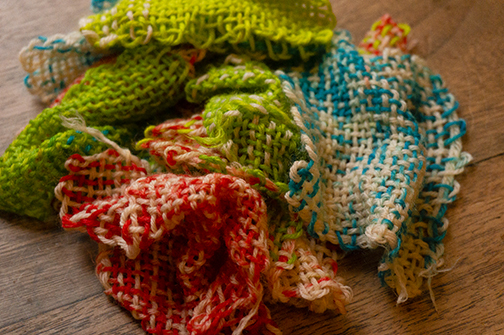 I kept them in strict gradient order by slipping them onto a stitch holder as they were finished. Then I did another bun’s worth, and got fifty-one. Great. I’d do a 100-square blanket. I like easy math. 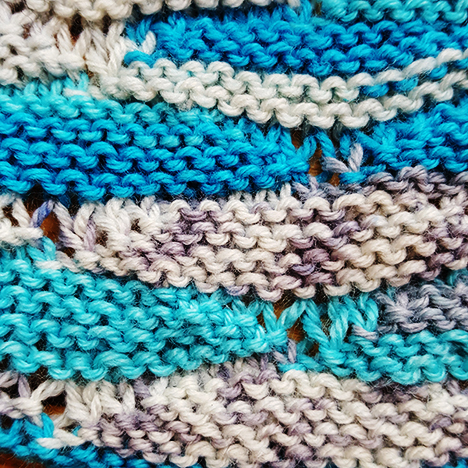 In another mood, or in another month with less travel, I might have devoted a few hours to figuring out whether to keep the squares in the order they were made, or shuffle them together to make a longer gradient. Perhaps I might thrown them into the air to make them random. But sometimes you just need to make a choice. I decided to keep them in order. 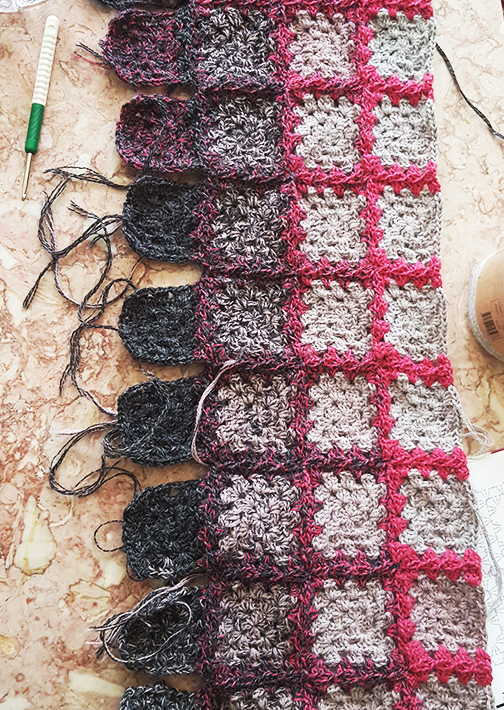 To make the next step as portable as possible, I tied each strip of squares into a separate bundle. Because I have a brain like a sieve, I also added numbered tags so I’d know in what order I should attach the bundles. It’s never a waste of time to protect your future self from the silly things it is prone to do. I often wonder if I lack the moxie to crochet. Happily, Edie offers crystal-clear written instructions. As I compared them to the chart, for the first time the fog began to clear. And the little squares began to become a big square. 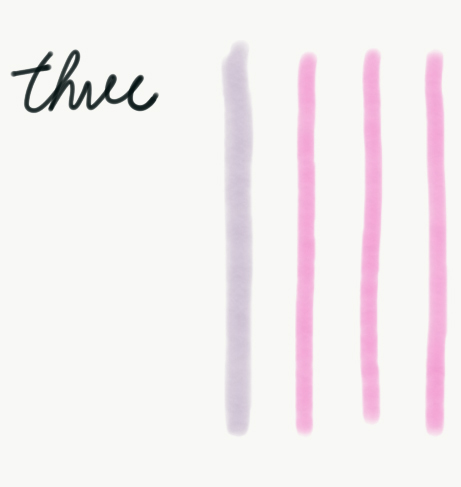 After the second strip had been joined, I picked up speed and the process became–dare I say it?–fun. Now, I know people who say they don’t block crochet. I do. 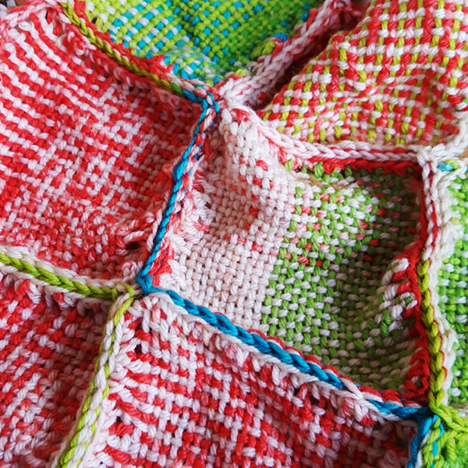 And I always wet block, because when I think about all the places where these squares were made, the idea of not washing the fabric thoroughly makes me green in the gills. After blocking, I was almost perfectly happy with the project. There’s a patch where the joining rows and the squares are both the darkest grey, and thats reads to me as a black hole in the work. I’m not sure I like it. But the fabric is cuddly beyond words. Aside from that, three buns gave me a lap blanket (the finished dimensions are 33 inches x 33 inches) that is handsome and comforting. Yet I do have a fourth bun sitting here. A border, perhaps? Or something to dress up the black hole? I’m gonna go cuddle up under this and think about it. This column most often shows you the progress of one project at a time, which I’ve realized gives you a false impression of how I work. I’ve been cleaning out my primary workspace for eight years, which is the same amount of time I’ve spent working in my primary workspace. It’s not a complete mess, mind you. If it were a complete mess, it would be complete. Nothing in here is complete. I have a sort of area devoted to “Fridays with Franklin” works in progress. It grows and shrinks and changes its shape and moves hither and thither, like a restless volcanic island made from yarn. At any given moment there will be three things in progress, supplies for a couple more ideas, supplies from Makers’ Mercantile for which no idea has yet presented itself, and leftover bits of finished projects that haven’t been sorted into storage. 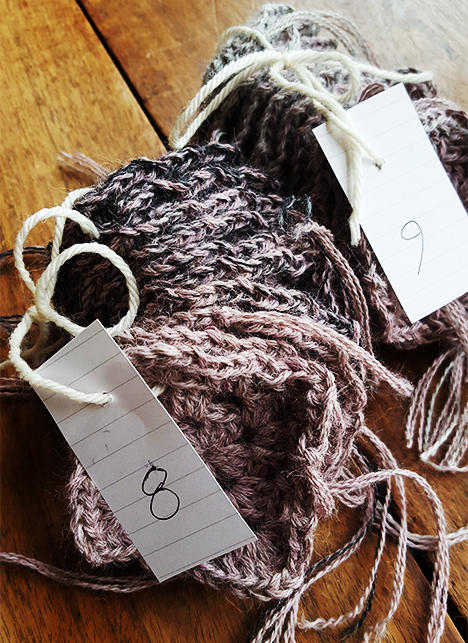 Right now the top of the island is covered by a large (well, large for me) crochet project using HiKoo Concentric, an intriguing alpaca gradient yarn that arrived attractively packaged in a plump bun. Two luscious buns of HiKoo Concentric from Skacel. 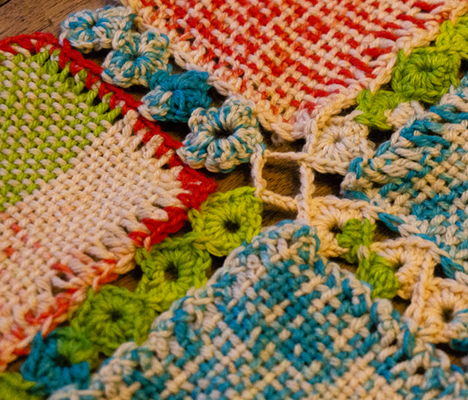 Two these buns have become little bundles of granny squares, and the granny squares need assembly into the final thing. But that means hauling around all the granny squares, and I’ve been on the move. That means the first over the finish line will be this pair of socks made with old favorite Zitron Trekking XXL Sport Sock Yarn, shown here in progress on my first set of addi Flexi Flips. These socks are for me. I don’t have much time to knit for myself, so I choose personal projects with care. Things I need go to the top of the waiting list. I need these socks, because the only reliable source of reasonably-priced, durable store-bought socks that I’ve counted on for years recently slashed its line to remove all the colors I wanted to wear. No more bright yellows, reds, or purples. No more vivid greens. No pinks, no lavenders, no royal or robin’s egg blues. They still love to trumpet that they offer dozens and dozens of choices; but now all of those choices are either browns, tans, greys, black, or navy. Whee! I also need these socks because I want socks with a fun motif on them. You can buy men’s socks with motifs, but these are almost always selected from the acceptable list of Things Men Can Have On Their Clothes. The only lasting additions in the past eighty or so years are “fun” science motifs (e.g., robots, spaceships, atoms) and superhero logos. I am in no way knocking you if you want these things on your socks. But you are well provided for, and can if you so desire buy what you like right off any number of shelves. Me, I want colorful wool socks decorated with things men aren’t supposed to like, such as this curly-swirly lyre, taken from a nineteenth-century needlework booklet. It’s a symbol of the god Apollo, sure; but Apollo doesn’t count as a superhero as he hasn’t got his own best-selling comic book and movie franchise. Apollo wrote poetry and cavorted with muses, both activities the modern American male is supposed to avoid. The socks I want have clocks. 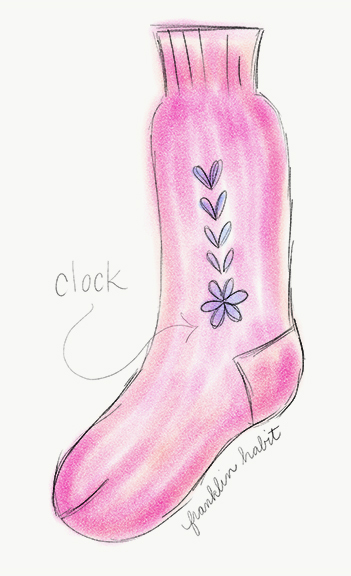 A “clock,” in hosiery, is a decoration at the ankle, possibly spreading up the leg a bit. The plural is either “clocks,” which makes sense, or “clox.” I hate the second spelling. But I bristle at the thought of working a sock with a dozen strands of yarn coming off it. I’m sorry, no. 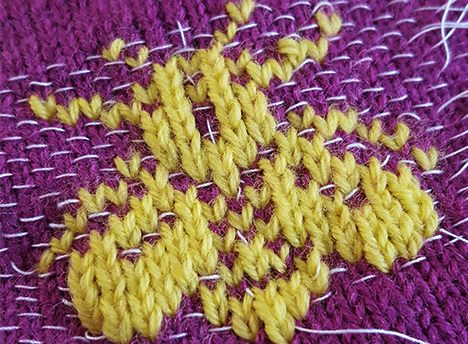 Duplicate stitch embroidery mimics the structure of the knitting underneath, and if it’s done well it appears to be an integral part of the fabric. 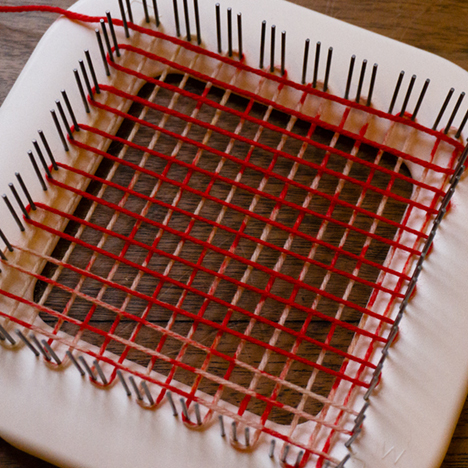 It preserves, as well as any embroidery can, the stretch of knitting. It might be just the thing. 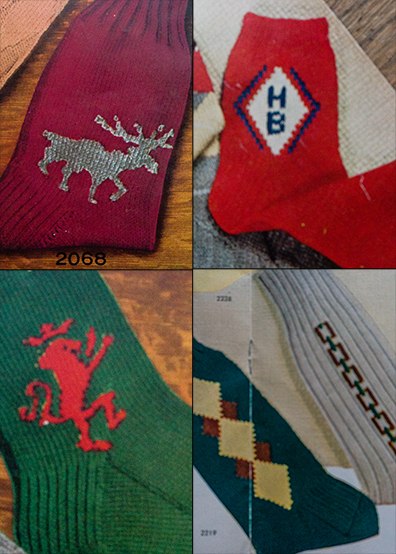 Again, I’ve done plenty of duplicate stitch–but I had never done it on a sock. More to the point, I had never done it at the gauge of this sock–nine stitches to the inch. It’s my usual practice when embroidering a closed piece of work (like a hat or glove) to insert something, usually a piece of stiff cardboard, inside the work so that I don’t have to worry about accidentally stitching through the wrong part of the fabric. In this case, I have a solid wood sock blocker that did the trick. The fabric wasn’t stretched drum tight–just enough to make it lie nice and flat. Here we are once again, embroidering our work from a chart, so what do we need? We need guides. I put mine in, using plain white sewing thread, doubled. 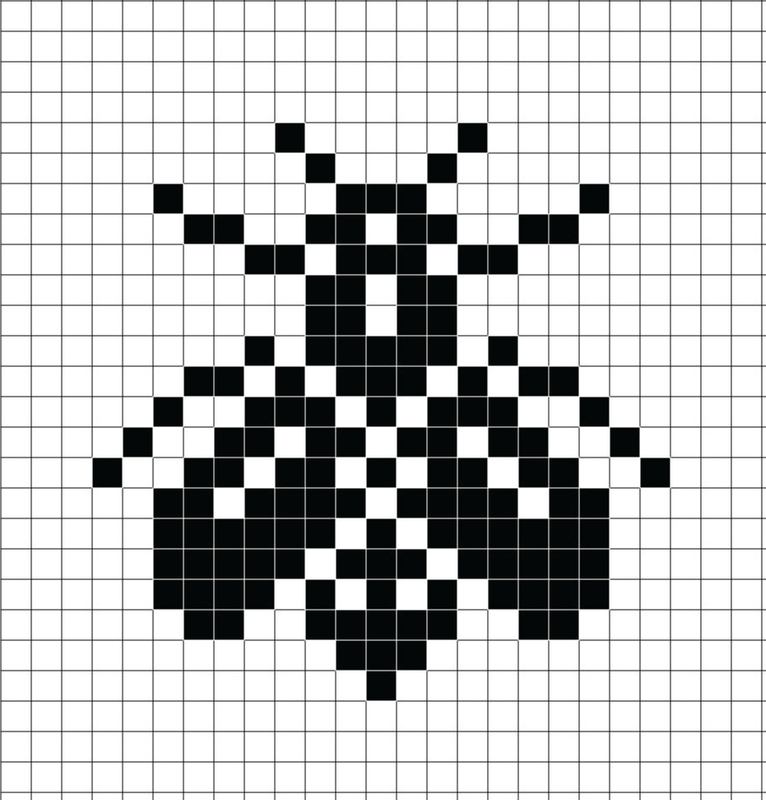 I put in a baseline, and lines for the horizontal and vertical centers of the motif. 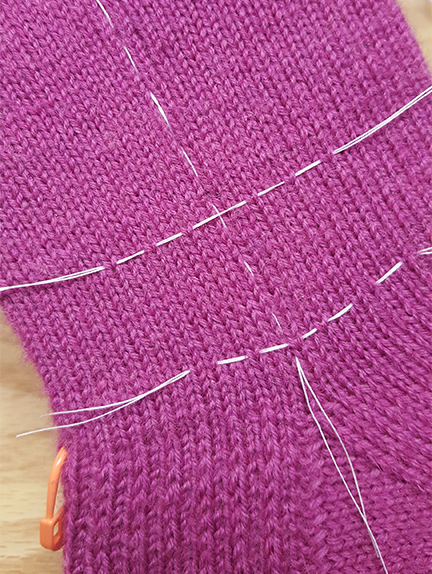 Note: To make finding the center stitch a snap, before dividing the stitches to work the heel flap, I put a stitch marker halfway across the stitches at the back of the leg (seen here), and halfway across the stitches at the front of the leg. For the motif, I first thought I’d use Color 1496. However, paired with Color 1027, it was too close to read well–another cool color, adjacent in the spectrum, almost identical in value. The embroidery would barely have shown up from a couple feet away. 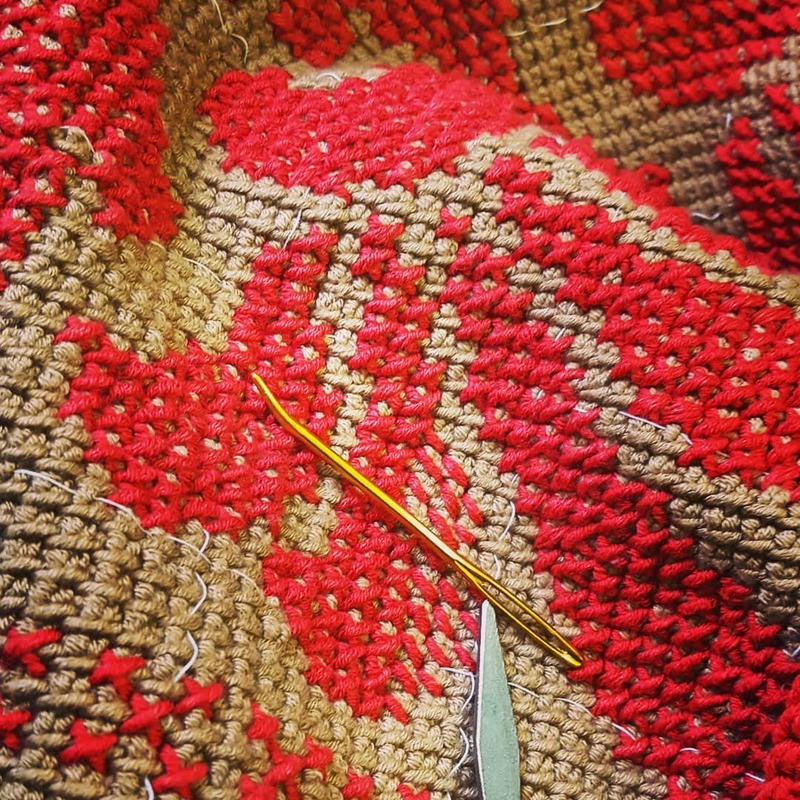 Then there was nothing more to do than slip a strand into a tapestry needle and get down to it. It took me two hours to get about five rows up the lyre chart. They were two unpleasant hours, full of language unsuitable for mixed audiences. After a walk around the block that included a stop at a bar on the far corner, I took a fresh look at the thing and found it to be lopsided, full of stitches not quite of the correct size, and containing one error so fatal that further progress was impossible. I ripped it all out. Which took another hour. I tried twice more. I ripped out twice more. I threw things. I decided I didn’t really like the lyre, anyway. 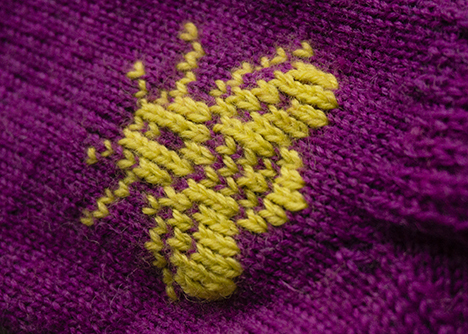 What I really wanted on my sock was a bee. This bee, from an Edwardian filet crochet chart. 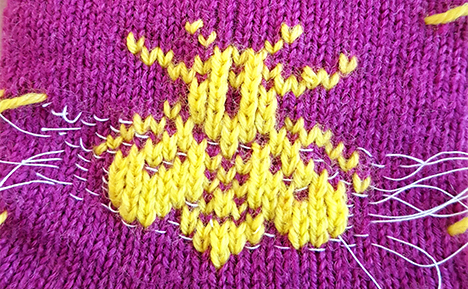 I’ve been wanting to put this bee into or onto a project of some kind for years. Bees are a favorite symbol of mine. So industrious. Famously busy. Elegantly designed. Just as I was about to give up and admit to you my utter failure, I realized what was tripping me up. I was doing everything I could to ensure success: working while alert, working without distractions, working under the best possible lighting conditions. And yet, time and again, my it wasn’t working. I mean, look at this. The problem? I couldn’t always see–even under brilliant lighting–which row of stitches was which. So I’d suddenly jump up or down a row, or take a stitch that was two rounds high instead of one. So I ripped myself back to a blank slate, and I put in lots and lots of guidelines. The center, of course, yes. But also a guideline for every row in the chart. That may look like a lot to do, but we’re talking about a motif 19 rows high. Putting those guidelines in took about ten minutes. …the embroidery took about an hour. And it was fun. The guidelines saved me at least a dozen times from making a big mistake, and at least five times showed me that I’d made a mistake immediately, which allowed me to correct it without fuss. The guidelines slid right out. And I had my bee sock. I’m pleased to report that the embroidery is perfectly comfortable and stretchy–no lumps or bumps, and it flexes along with the knitting. The bee looks lonely, though, so I think I’ll add a second on the other side. And of course, two more on the other sock. Or maybe three. Oh. The second sock. I need to knit the second sock. Maybe after I finish the big crochet project. See you in two weeks! *I know. Superhero. But she’s the only one I like. For the first part of this series, click here. 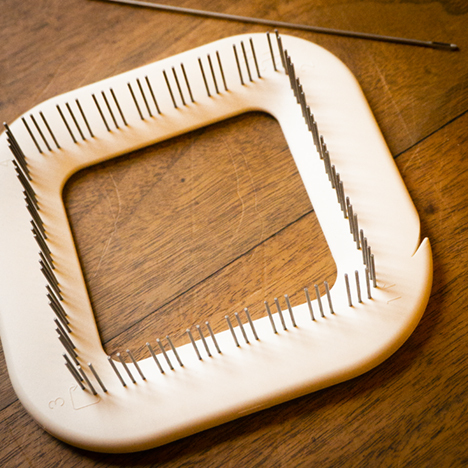 For me, part of the attraction of an envelope-style cushion cover is the ease of assembly. It’s all straight seams, and not many of them. the lower part of the back, and the upper part of the back (which has the buttonholes in it). You make them into neat little three-layer stack like this, with the right sides of the back panel pieces facing the right side of the front panel. And then you sew the edges together. Well, I sewed, using backstitch and a strand of HiKoo CoBaSi Plus. If you absolutely detest sewing, then you can crochet the seams together. 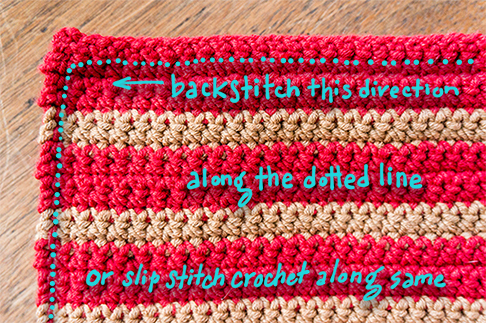 I’d use slip stitch, I think. Purely a matter of personal choice. Of course, this assumes (as sewing diagrams usually do) that you are right-handed. Left-handed persons will likely find it more comfortable and efficient to reverse the direction of seaming. In the end, the result is the same. What’s important is that you stack your layers as shown above, so that when you turn the piece right side out, the top of the envelope (with the buttonholes) will be on the outside. To mark the locations of the buttons on a piece like this, I like to insert the pillow form first. Then, after pulling the upper flap over the lower to the desired position, I slip a locking-ring stitch marker through the buttonhole and into the fabric. Take the pillow form out again, and sew on your buttons. As in attaching the buttons to my Five-Hour Baby Jacket, I used small buttons to back the “public buttons”–it makes them stronger and more stable, and keeps the button shanks from just sinking into the fabric as you sew them on. All in a neat row, like obedient little ducklings. The heart, it leaps. 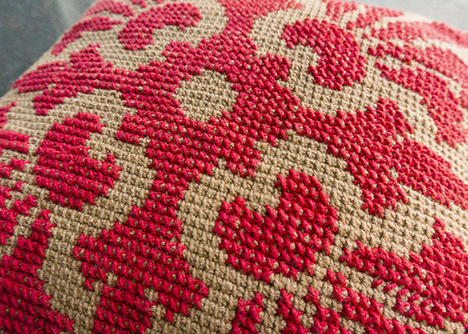 Looking at the finished cushion cover, I feel even more convinced of the special joy in using your handwork to outfit your living space. The hideous cushion is gone, replaced by something I will enjoy looking at; and that I can expect to last for a long, long time. It’s an investment in the comfort of my home, plus I’ve had the pleasure of making it. Now, of course, I’m looking at every other run-of-the-mill throw pillow around here with a crazy gleam in my eye. I’m not sure. Because while I’ve been playing with cushion cover and the Five-Hour Baby Jacket, I’ve had two other projects on the go as well. 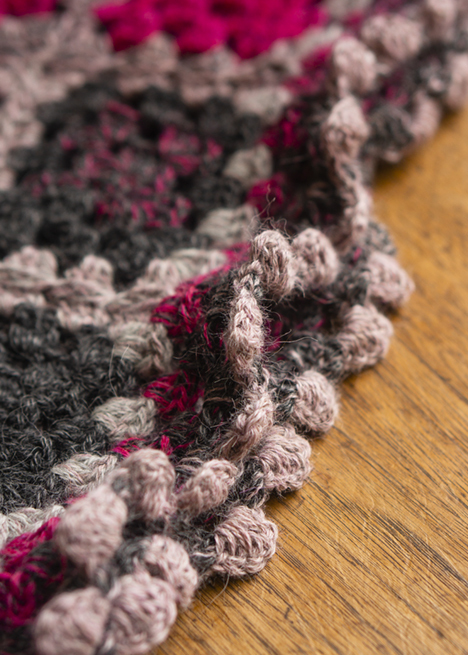 One is crochet: a lap blanket using this intriguing gradient yarn, HiKoo Concentric. I’m giggly with anticipation to see how this is going to turn out. The other is knitting: a pair of socks in dear old Zitron Trekking XXL Sport, to be embellished after the knitting is complete. I really want to finish these so I can wear them. 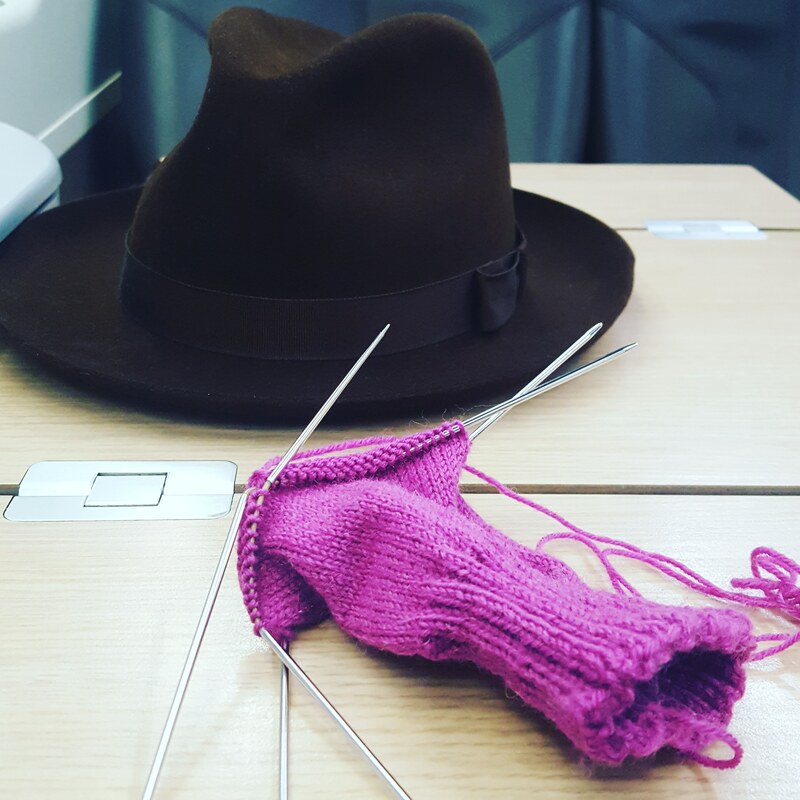 Knitting merrily on the train from Rome to Naples. So, which? Come back in two weeks, and I guess we’ll all find out. HiKoo CoBaSi Plus (55% Cotton, 16% Bamboo, 8% Silk, 21% Elastic Nylon; 220 yards per 50 gram hank). Shown in Color 063 (Amber Waves) and Color 047 (Really Red). Size D (3.25mm) Color Coded Crochet Hook by addi. Enamel “Elegant Flowers” Buttons by Skacel Buttons in Black, size 22mm. 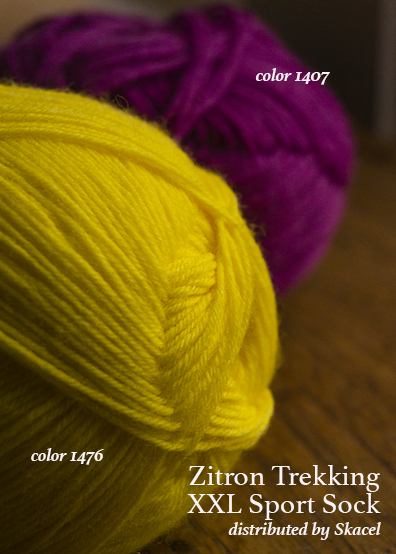 Zitron Trekking XXL Sport Sock Yarn (75% Superwash Merino Wool, 25% Nylon. 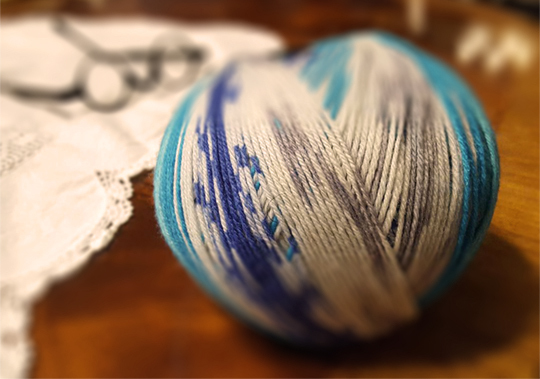 459 yards per 100 gram skein.) Shown in Color 1407. For an introduction to what does on in this column, click here. With Upstairs Baby nicely clad in his Five Hour Baby Jacket, I returned to the crochet cushion cover. I’d hoped this edition would show it to you completed, but I’ve been very much on the run for weeks and weeks. February and March are busy months for those of us who teach at shows and shops and festivals, and the cushion had to be fit in between flights and classes and banquets and chatting with students and readers at the Madrona Fiber Arts Winter Retreat and Stitches West, not to mention a lovely dinner with fellow makers at Makers’ Mercantile itself. That being said, I’ve made considerable progress and I’m excited about how the project is shaping up. 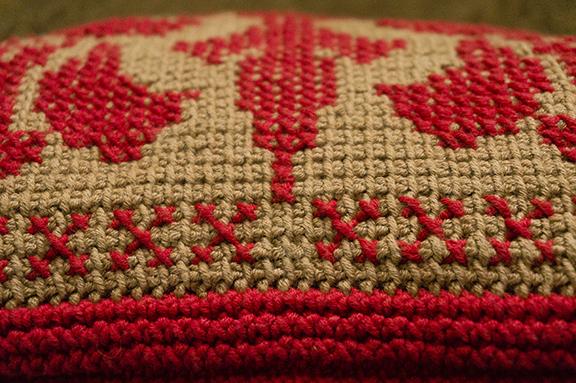 I finished the cross stitching over the Tunisian crochet front panel on my flight home from Stitches West. Cross stitch at 35,000 feet. There was more cross stitching than I had intended, because I failed to follow my own advice. I told you to take the time to carefully baste in your thread guidelines before starting the embroidery, right? And told you I’d done it every ten squares, right? I did. But what I couldn’t admit to you until now is that I’d begun with only the horizontal and vertical center guidelines basted–the bare minimum. My excuse, my feeble excuse, is that I did it in a rush just before leaving for a trip to London; and I persuaded myself that just those two lines would be fine. I was wrong. I miscounted, you see, and ended up placing the horizontal guideline several squares off the true center. Only after ripping out a major mistake, and putting it my proper grid of guidelines to avoid more such mistakes, did I discover this monumental goof. 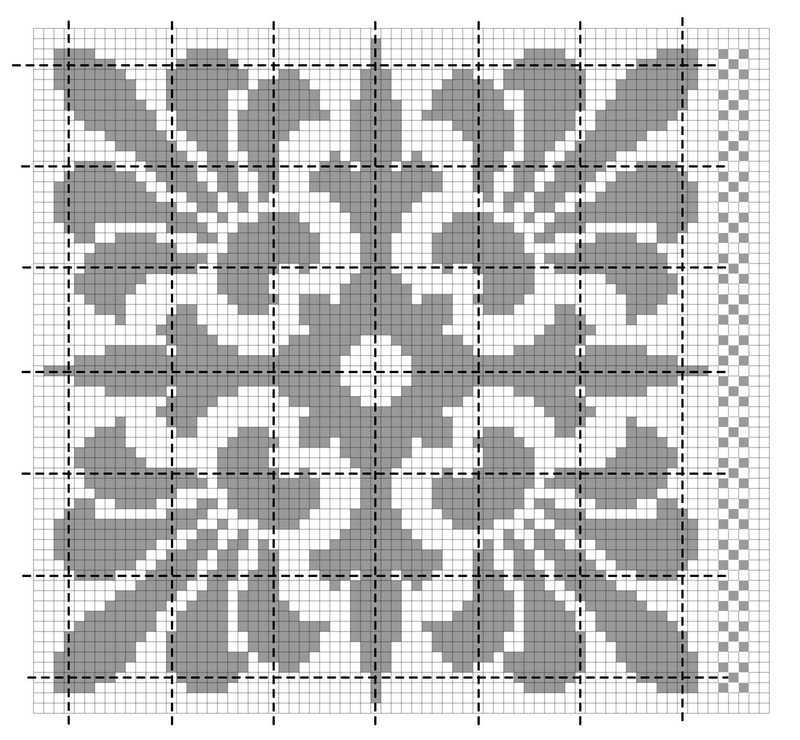 Well more than half of the center motif had been stitched. If I’d put in the proper number of guidelines, I’d have found the error right away. Rushing never saves time in the end, does it? I had a choice. Rip out all the cross stitch, and start over. Or keep going, and hope for a way to fudge things later on. No matter how virtuous a needleworker you are, this is going to happen from time to time. 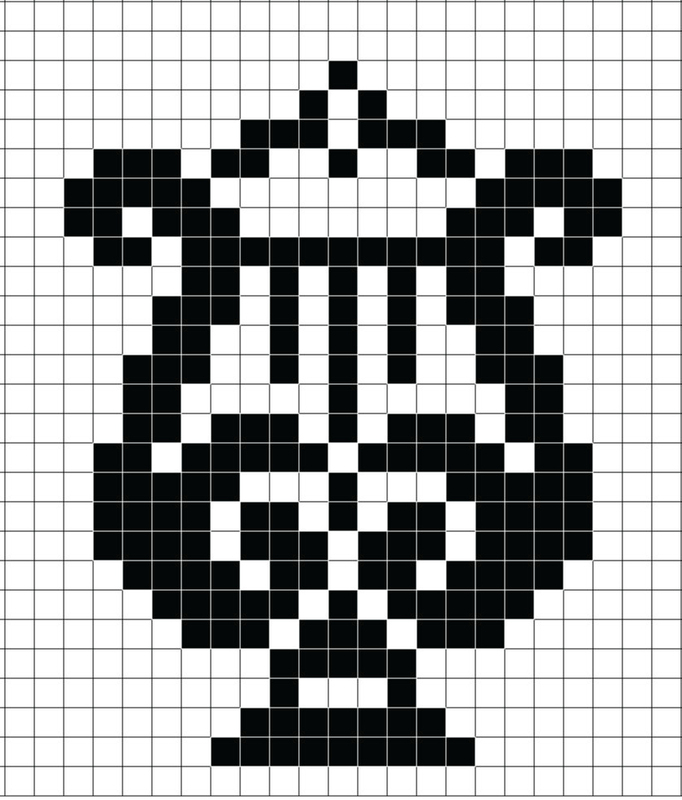 So the completed motif had gaps–significant gaps–on three sides. On four sides, it would have been a border. On three sides, it just looked weird. I decided to go for broke and fill in the gaps with a simple motif, and move on with my life. Testing the border motif on the chart, to make sure it not only looked well, but also fit into the space available. 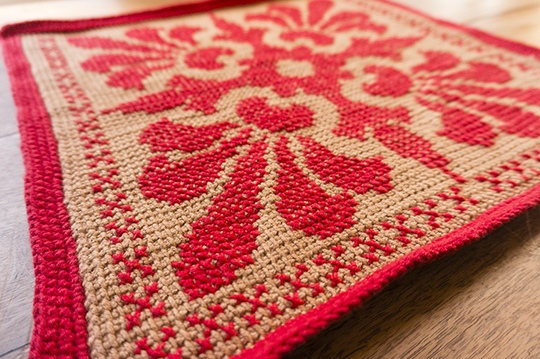 The border was inspired by a filling motif from the same Edwardian filet crochet book that gave me the main motif. Those of you who must have absolute symmetry at all times will grind your teeth. But I like it–I often enjoy asymmetry–and I’m keeping it. With the stitching on the front complete, I subjected the fabric to a wet block. As usual, I’m happy that I did. 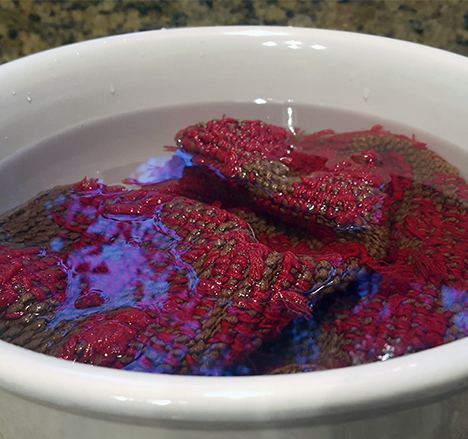 A wet block truly settles the stitches and gives the work a more professional, finished appearance–quite aside from cleaning the yarns, which will have acquired a shocking amount of grime during the transformation from fiber to skein to fabric. 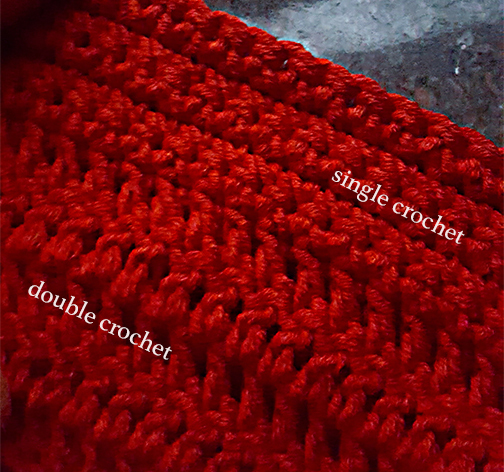 I thought I’d use double crochet, but even at a firm gauge it just didn’t work for me–too loose, too likely to allow the pillow form (which is white) to show through the gaps. and felt better about that. It’s strikingly handsome, especially when worked in the stripes with some of the leftover Color 063 (Amber Waves) that was used for the front. 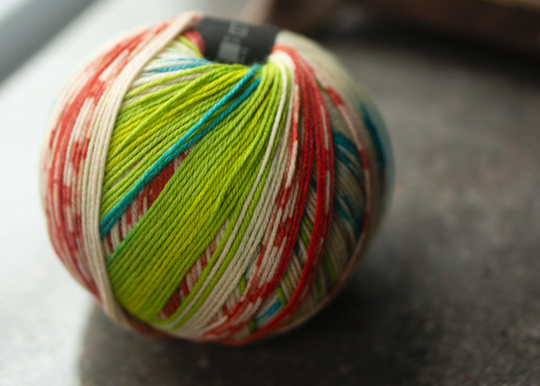 because it’s slightly neater–no color blips at all where the yarns change. I also like the jazzy zigzag effect. The fabric curls at the left and right selvedges, but as those will be sewn down in the finished cover that’s not an issue. You can do an envelope back on a cushion cover without buttons, but I think they give you a neater closure. Plus it’s an excuse to play with buttons. I chose these Skacel buttons from their enamel line. I think the style carries some of the florid beauty of the front over to the back. This means I that I’ll be able to try crochet buttonholes for the first time when I work the top flap. Quite exciting, really. Who could ever be bored, when there’s yarn in the world?